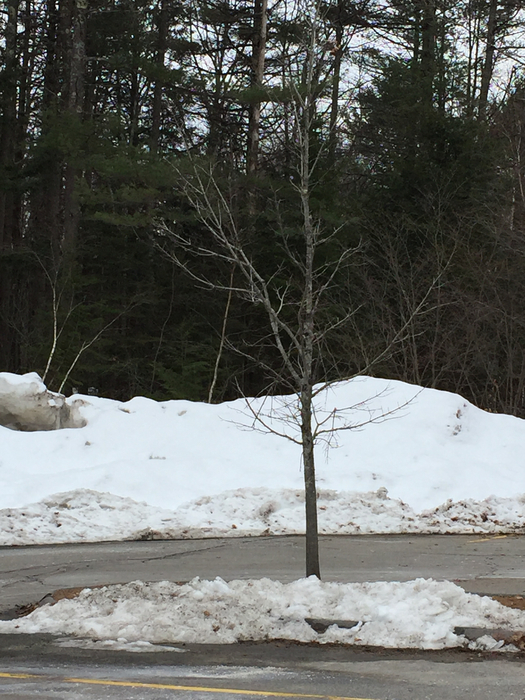 A sure sign that April break is here: the snow mound in the HMS parking lot is ready to recede. How do you deal with snow in April? 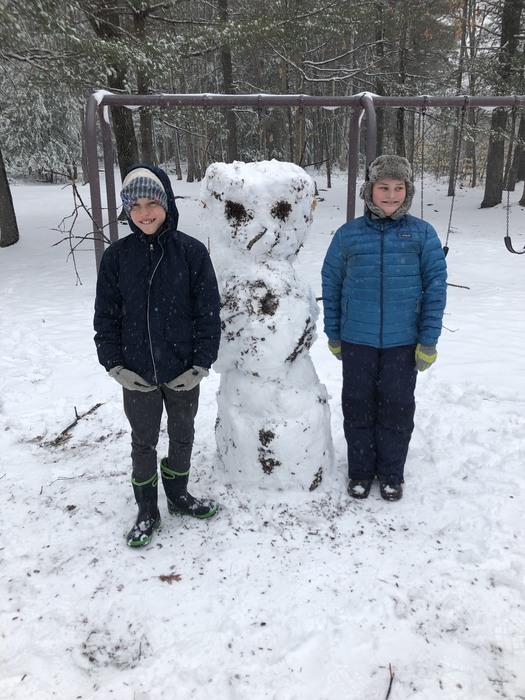 You make a snowman at recess! Max and Henry had an opportunity to collaborate on one today. Well done, guys! 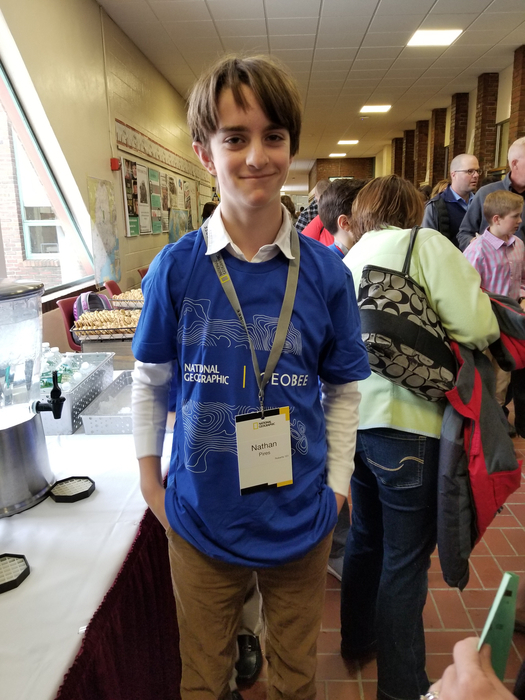 Congratulations to Nate Pires, 7th grader, who represented HMS at the Maine State Geo Bee competition at UMF last week! We are proud of you, Nate! 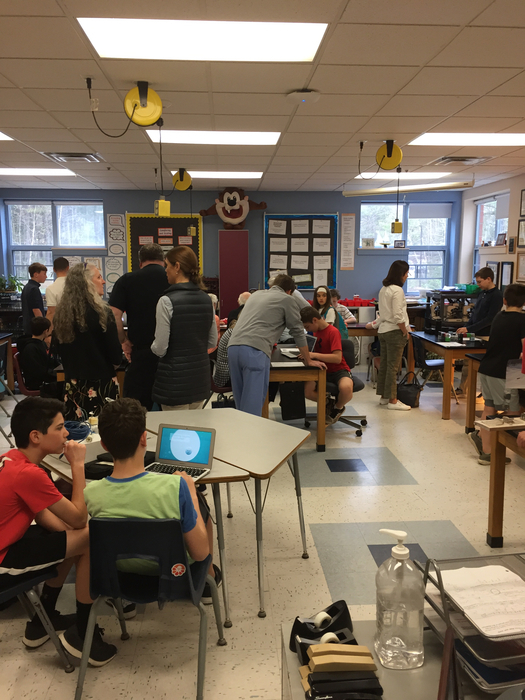 Today is the culmination of Genius Hour for our 7th graders, as students share their learning on their areas of passion! 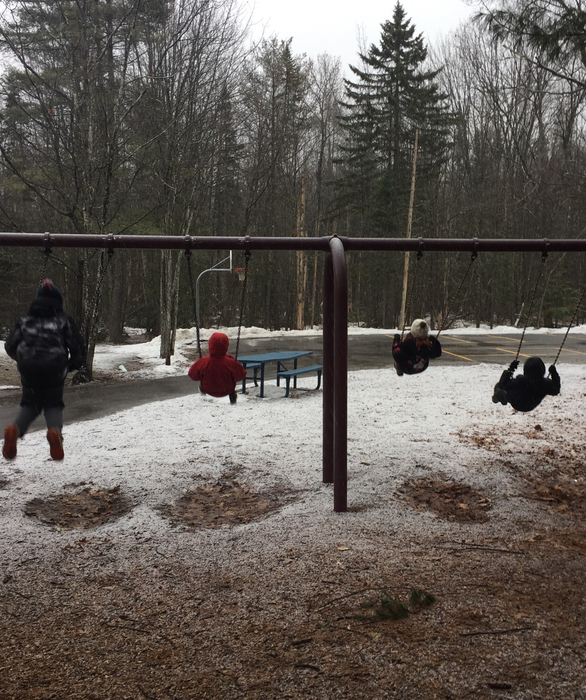 5th graders swinging on a snowy morning! 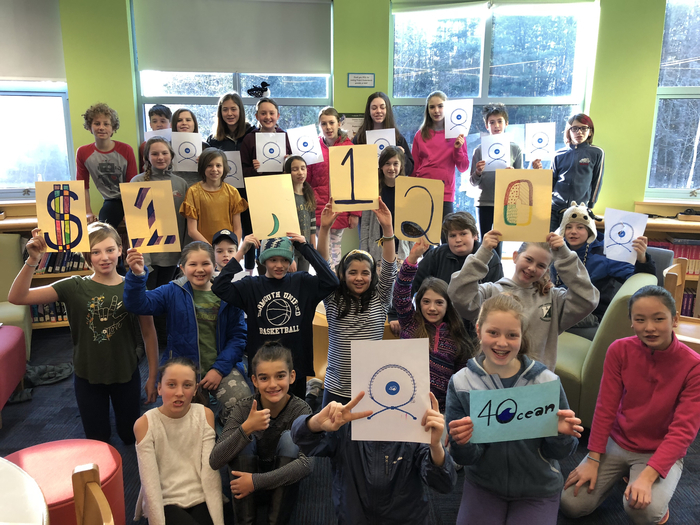 The HMS Student Leadership Team raised $1,120 for the 4Ocean Project during Spirit Week. For every $20 raised, 4Ocean can remove 1 pound of plastic from the ocean. Well done, Student Leadership! 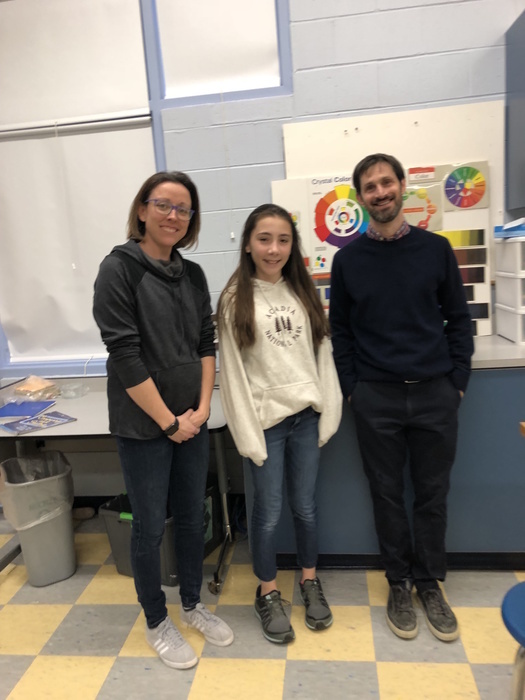 Congratulations to Katie Thornton, the 7th grade Unified Arts teachers’ selection for the HMS/Rotary Student of the Month! Way to go, Katie! 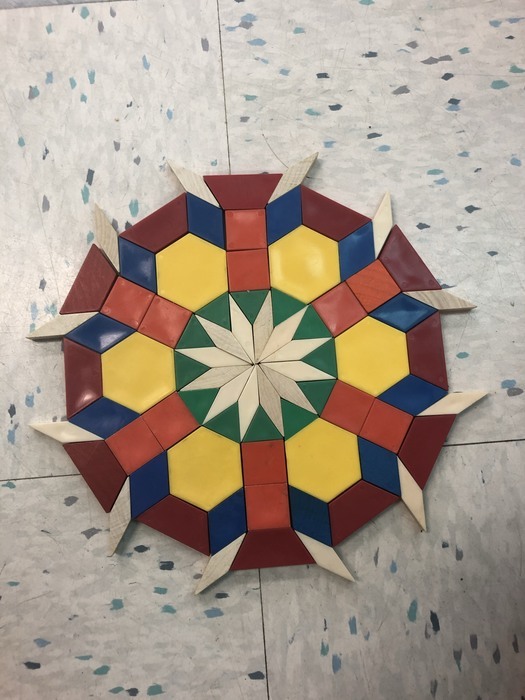 Check out 5th grader Henry Meehan's recent artwork! Well done, Henry! 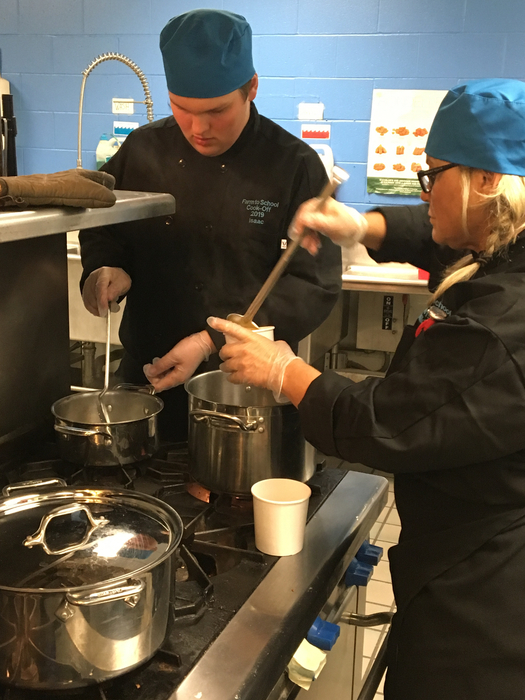 Congratulations to 8th grader Isaac Pendleton and nutrition worker Nikki Davoren for their great work at the Farm-to-School Cookoff! 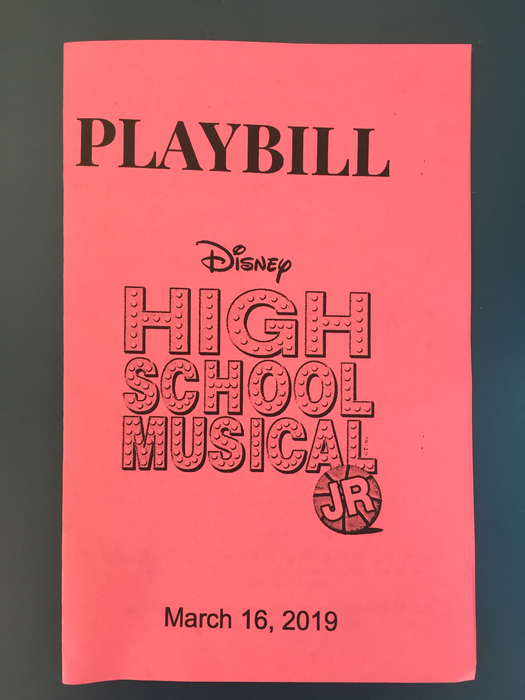 Congratulations to the cast and crew of High School Musical, Jr. for a fantastic show this weekend! Our thanks to Betsey Reinsborough (Mrs. Rainbow) for her inspired direction of this much-loved musical. Bravo! 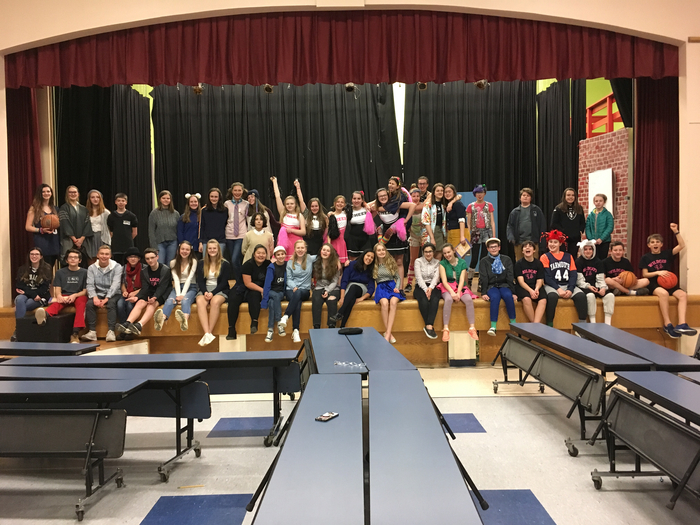 It’s showtime for the 7th and 8th grade play, HighSchool Musical, Jr.! If you are not here, come tonight for the 7 PM show! One of the best outcomes from HMS Unified Basketball? Great friendships! 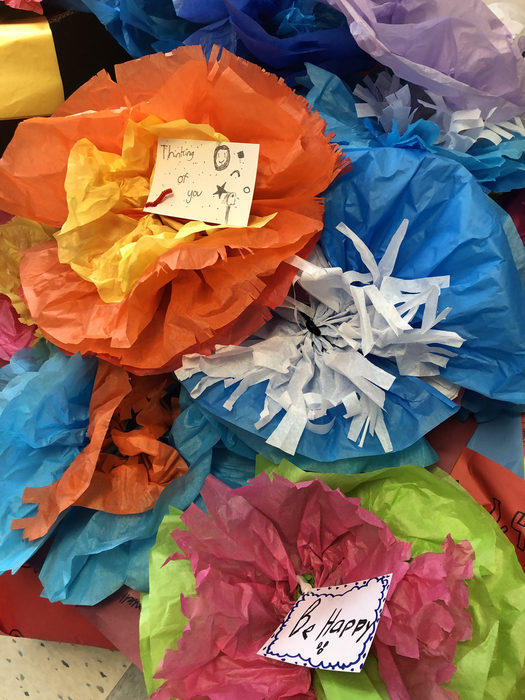 Mr. Cuthbert’s advisor group made these flowers with kind words for the students at the Rowe School. 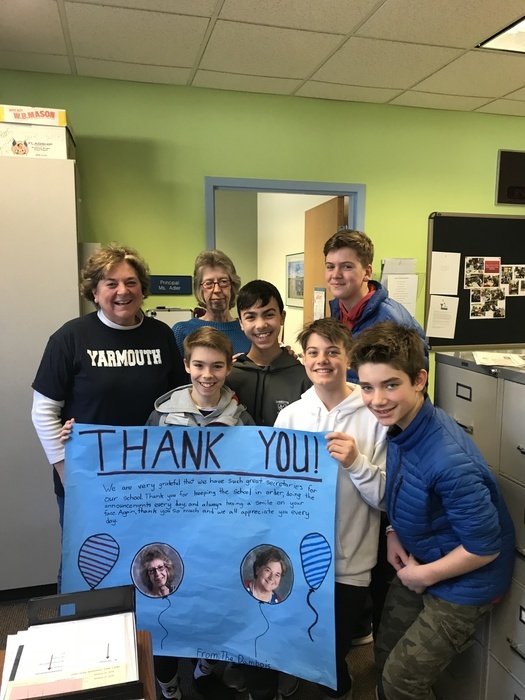 Thank you, Yarmouth PTO, for this wonderful activity/fundraiser! 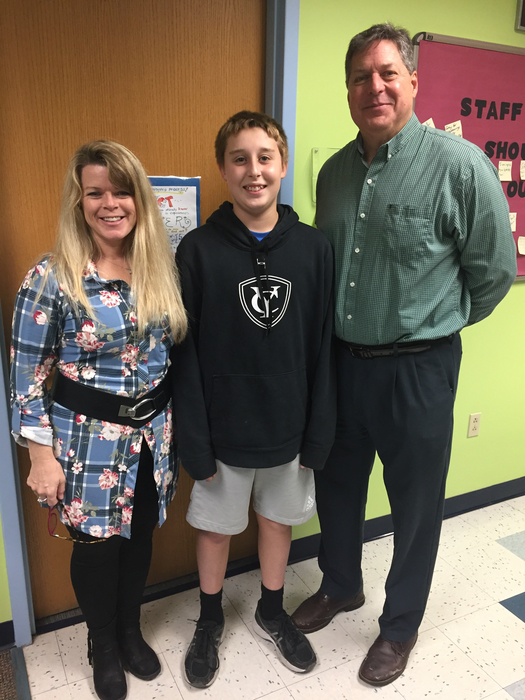 Congratulations to Mark Harlow, a February recipient of the HMS/Rotary Award. Mark’s teachers, Mr. Stiles & Mr. Shardlow, noted Mark’s excellent effort and perseverance this year. Way to go, Mark! 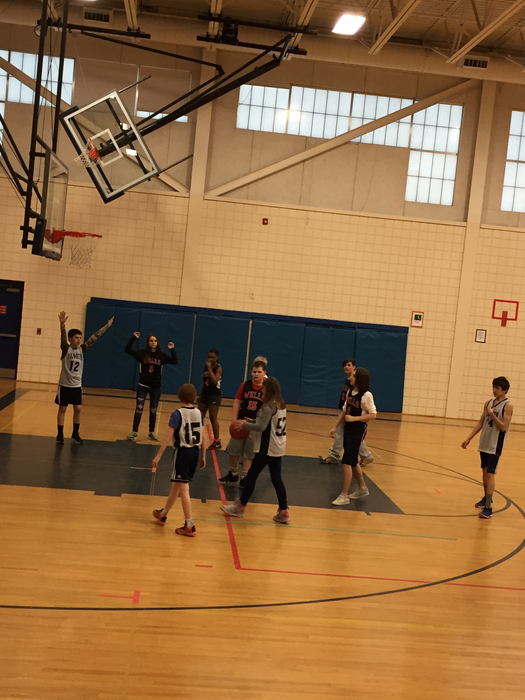 HMS Unified Basketball is playing their first game ever! With 6:40 to go in the 2nd half, it’s HMS 28, Wells 17. 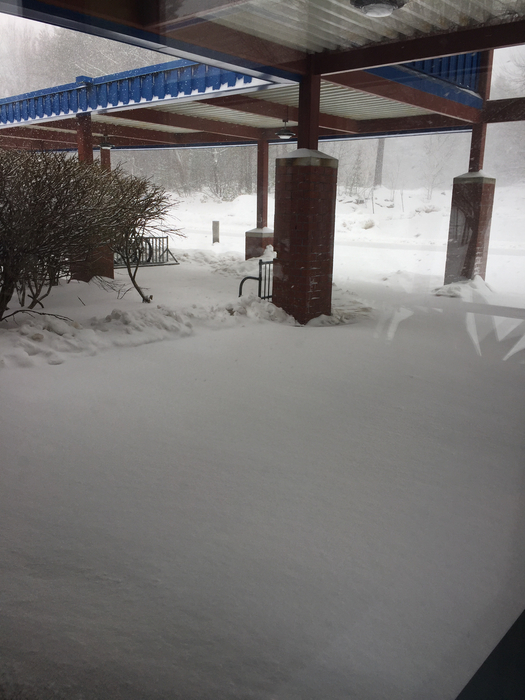 Another Snow Day at HMS. Our last day of school is now scheduled for Wednesday, June 19. 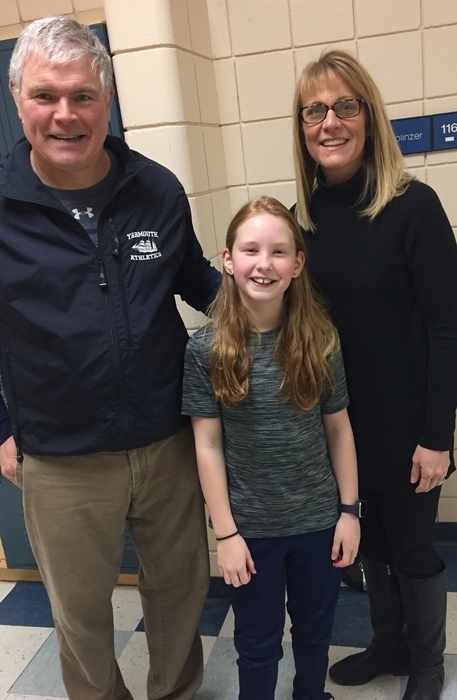 Congratulations to Eden Young, the Unified Arts teachers’ selection for the HMS/Rotary Student Recognition Award for February. 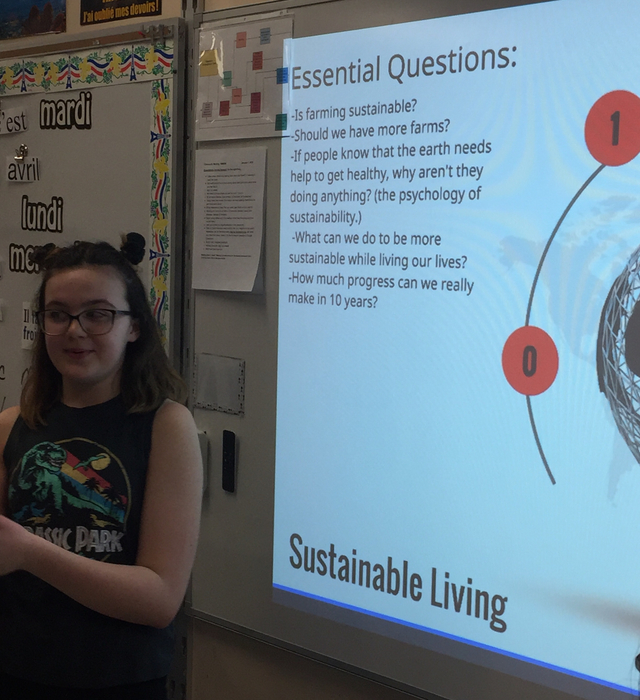 We are impressed by your hard work, Eden! 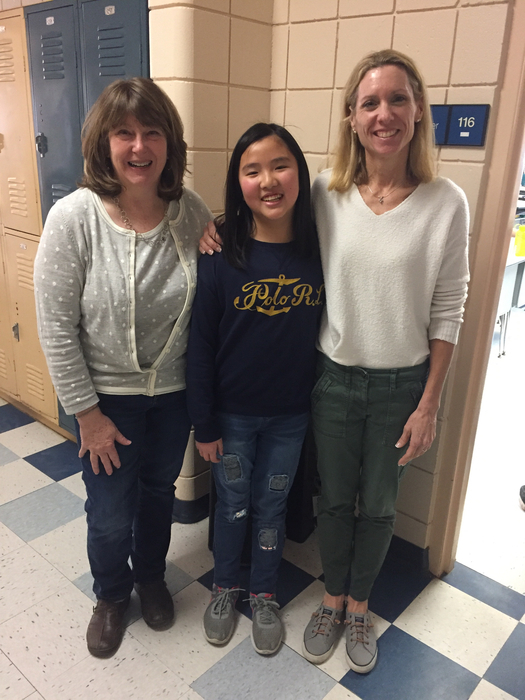 Congratulations to Erika Fong, our latest recipient of the HMS/Rotary Student of the Month Award! 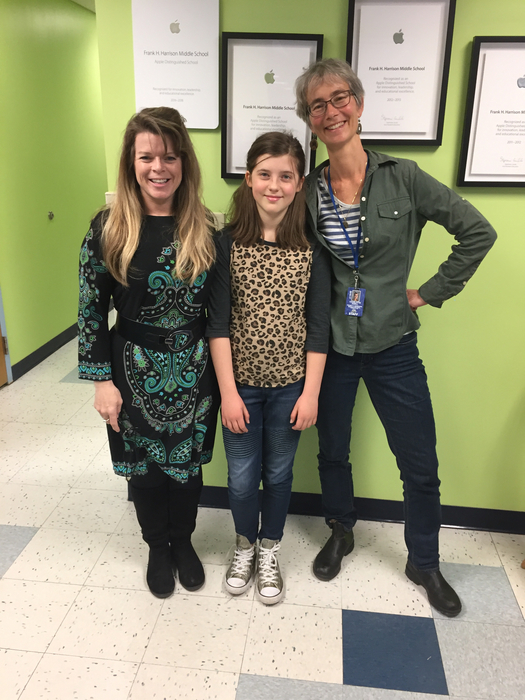 Erika’s teachers, Mrs. Jagolinzer and Mrs. Conley, rave about Erika’s perseverance and grit. Well done, Erika! 2/12 All after school activities will finish by 4:00 pm this afternoon so that all students can take the late bus home. Community Services Ski trip to Shawnee Peak will go on as planned. 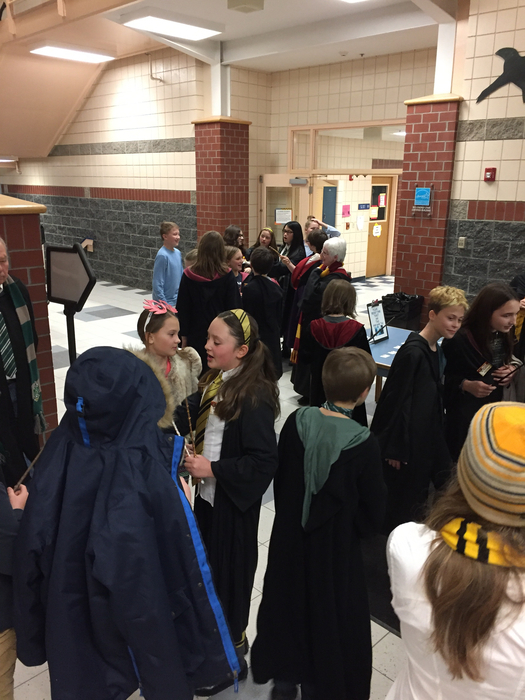 It’s Harry Potter Night at HMS! 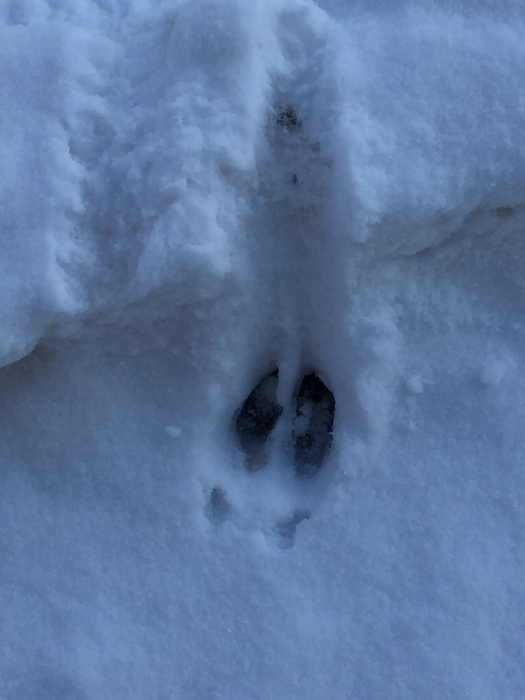 It may be too cold for outdoor recess this morning, but the cold did not stop a family of deer from spending time at HMS last night. 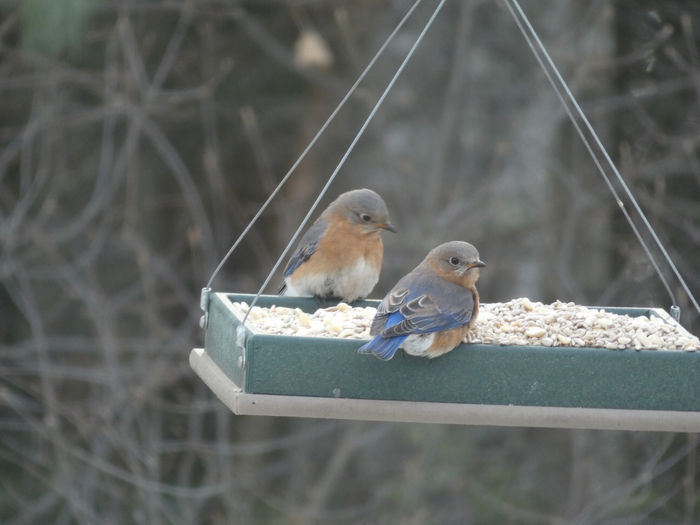 Two of the eight bluebirds at our feeder today. Thank you, Mrs. Stuhr, for the photo! 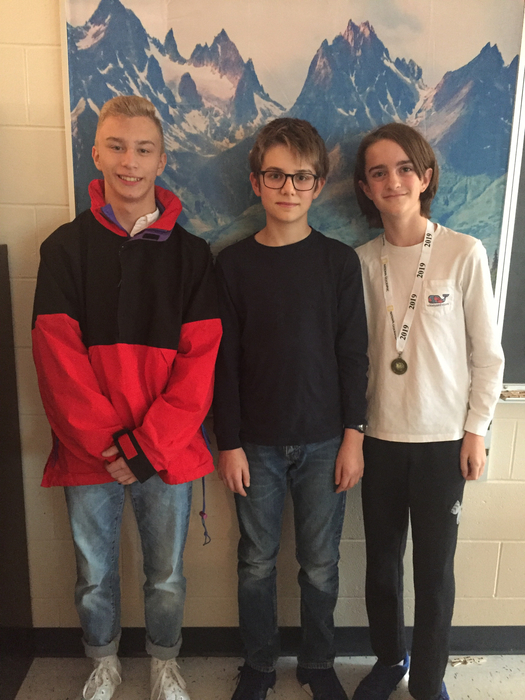 Congratulations to our 2019 Geography Bee (aka Geo Bee) winners, Nathan Pires and Eli Olson, and alternate Cooper Israel! Many thanks to Ms. Hill for organizing the event. Well done, everyone! 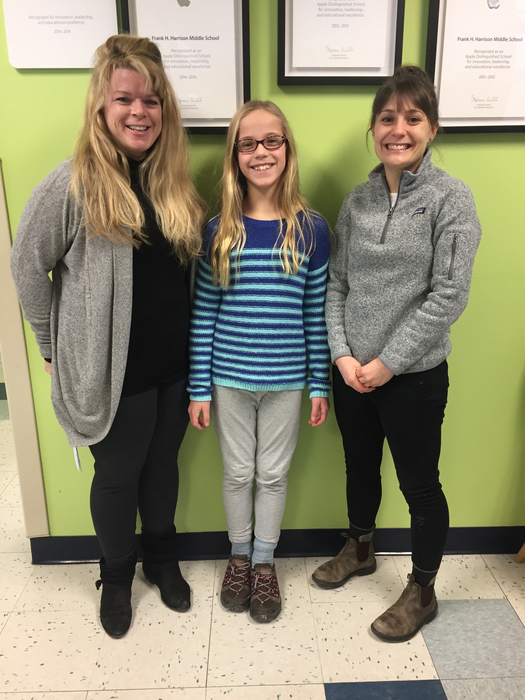 Congratulations to Aubrey Favreau, the Unified Arts teachers’ selection for the January HMS/Rotary Student of the Month! 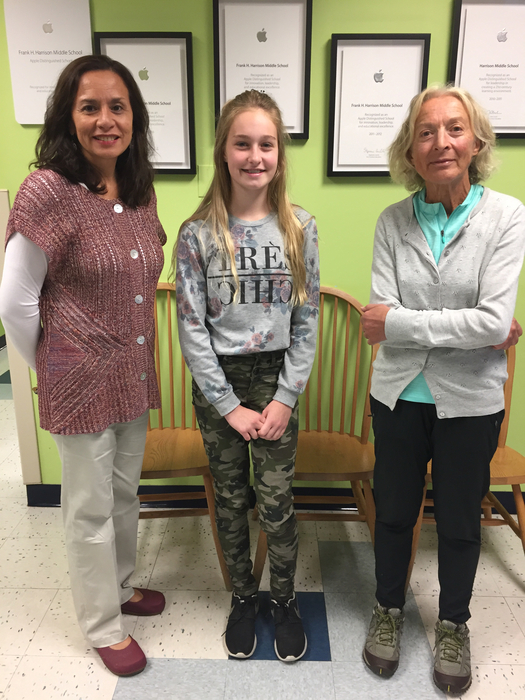 Mrs. Grover & Ms. Damboise note that Aubrey demonstrates perseverance and grit every day at HMS. Well done, Aubrey! 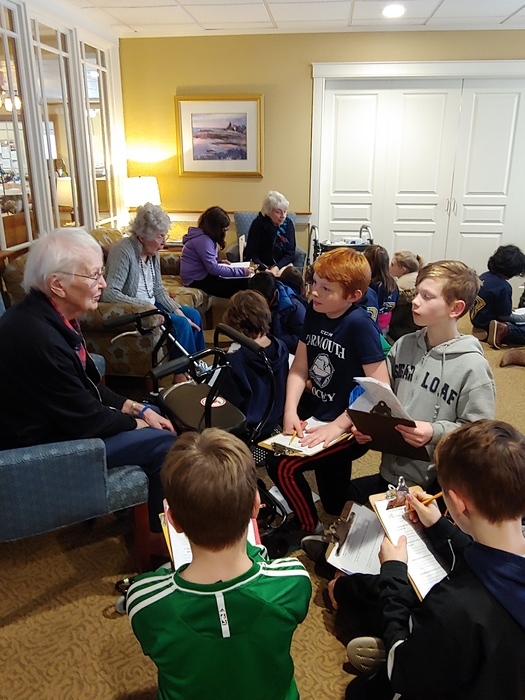 Mrs. Rollins' and Mr. Smith's classes visited with, and interviewed, the seniors at Bay Square on Friday. 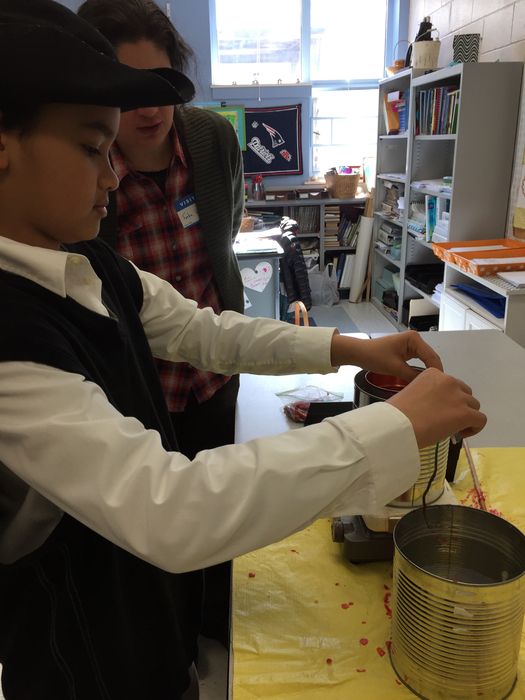 Among their many takeaways, our students learned that "Gee whiz" was a popular slang term from the 1940s and 50s! 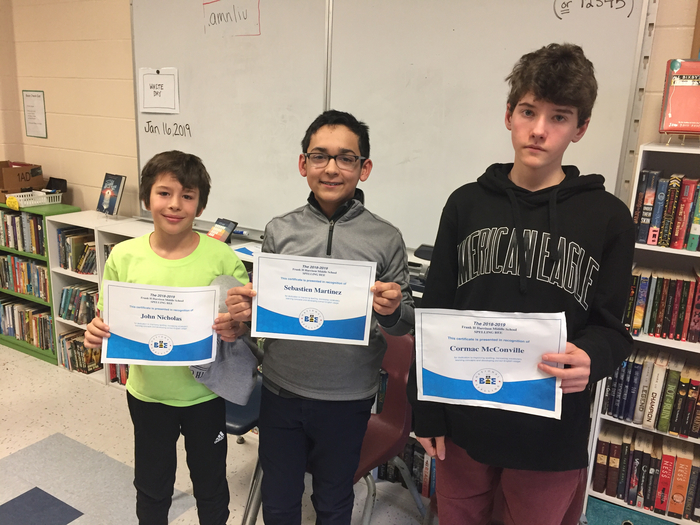 Congratulations to HMS Spelling Bee winners John Nicholas and Sebastien Martinez, and alternate Mac McConville! Well done! 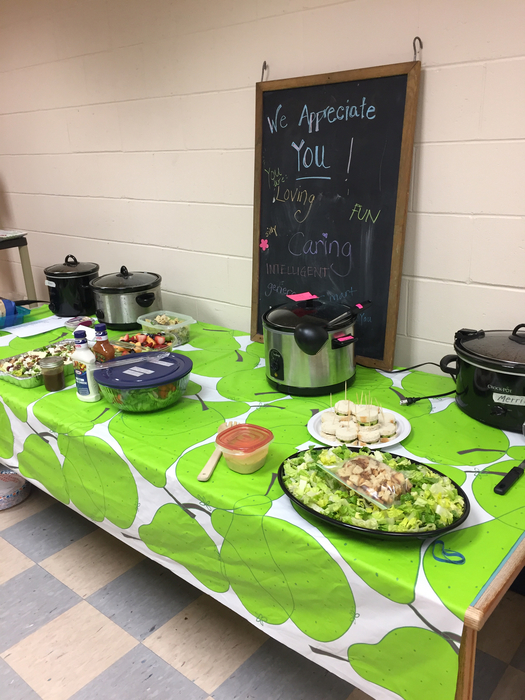 Thank you so much to the Yarmouth PTO for the wonderful luncheon today! Your support means so much to us! 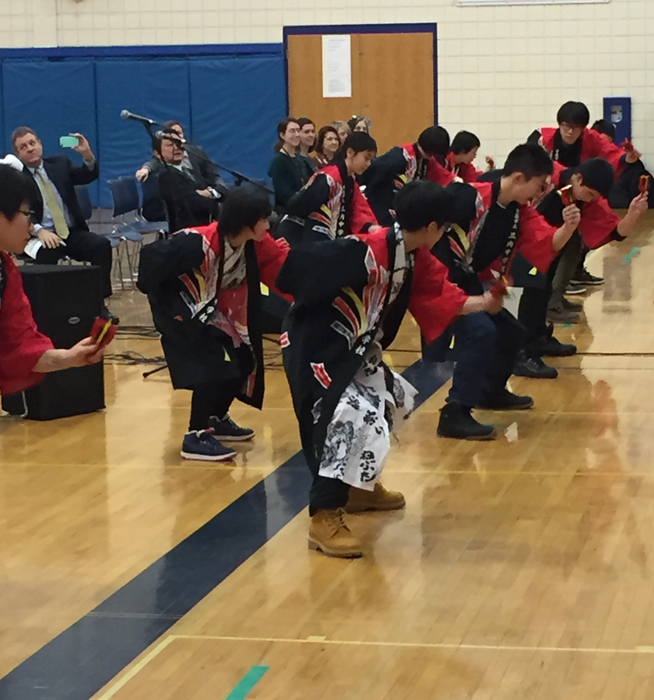 Our visitors from Japan shared aspects of Japanese culture with our students yesterday. So much learning, and so much fun! 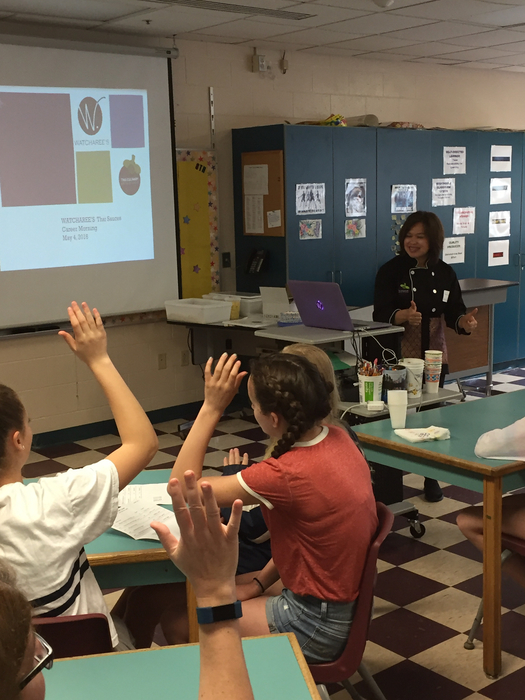 Thank you to the Casco Bay Japan Exchange Program, and our friends from Aomori, Japan. NO SCHOOL in Yarmouth - Wednesday, January 9, due to icy roads and a snowy forecast for the afternoon. 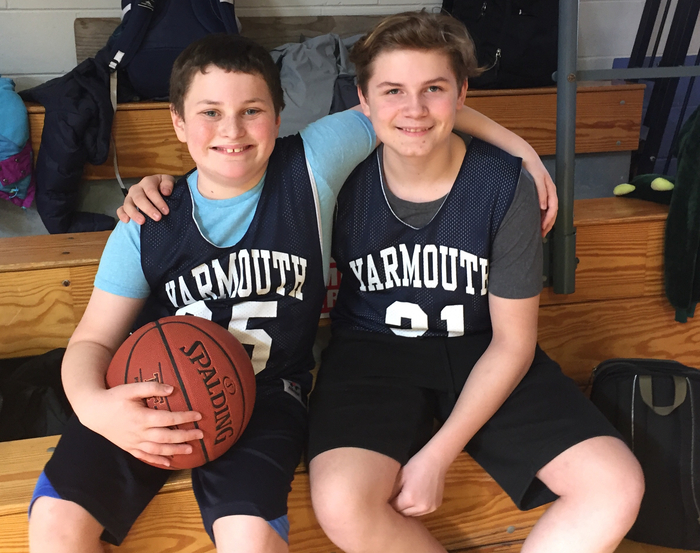 TWO HOUR DELAY to the start of Yarmouth Schools today - Tuesday, January 8. 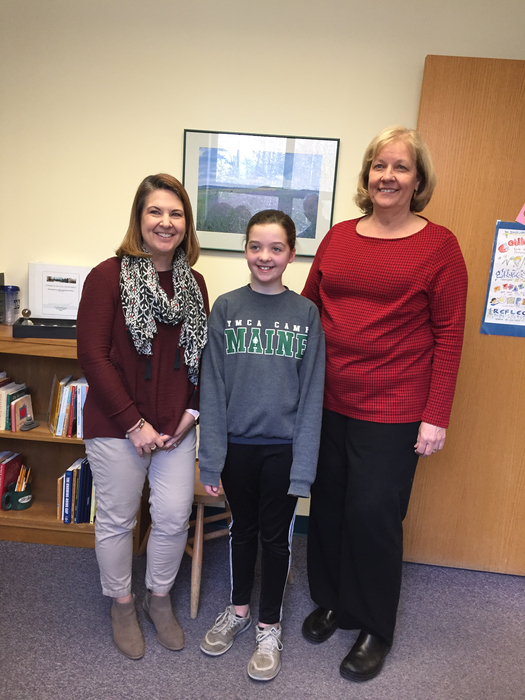 Congratulations to Sailor Perry, the 6th grade team’s selection for the HMS/Rotary Student of the Month Award. 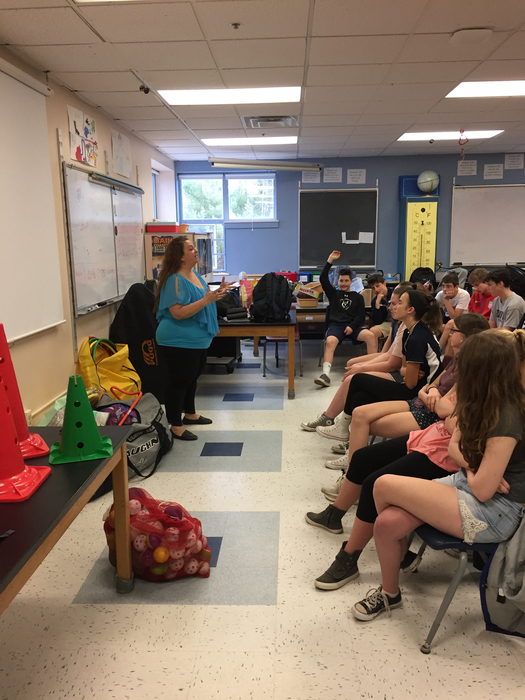 Ms. Haugevik and Mr. Callahan noted Sailor’s hard work and positive attitude in their selection. Well done, Sailor! HMS Nordic Ski Practice Update - Today's practice is Cancelled. Friday, we will ski at Pineland. Bring Skate Skis. TWO HOUR DELAY THURSDAY, JANUARY 3. 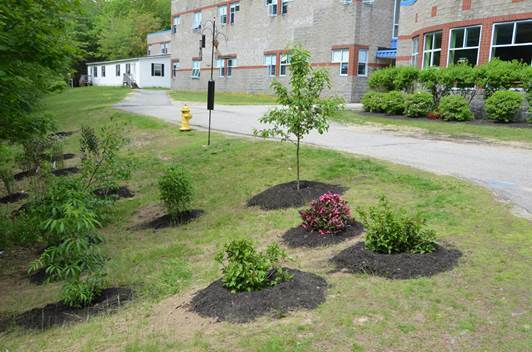 There will be a two-hour delay to the start of school in Yarmouth. This means all buses will run two hours later than normal for the morning pick-up. The school day will end at the normal time. 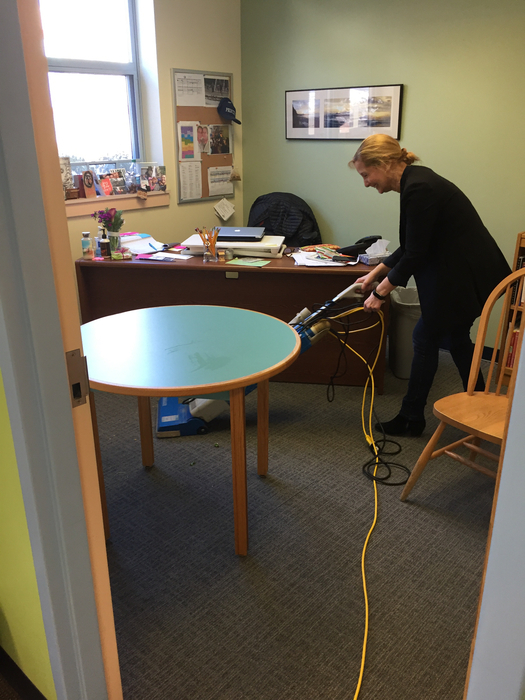 Ms. Adler cleaning up after her 5th grade lunch group! We celebrated Nini Emmons today, who is retiring from her position as our Partners in Education coordinator. 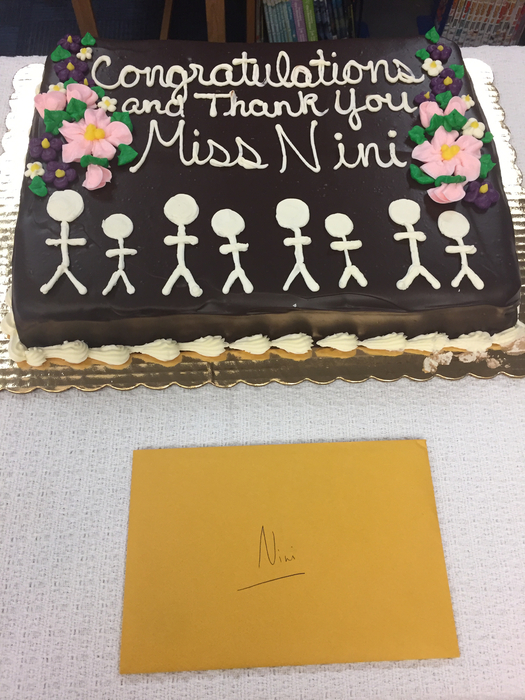 Thank you, Nini! Our 5th grade Math Team ready to problem-solve at today's meet! 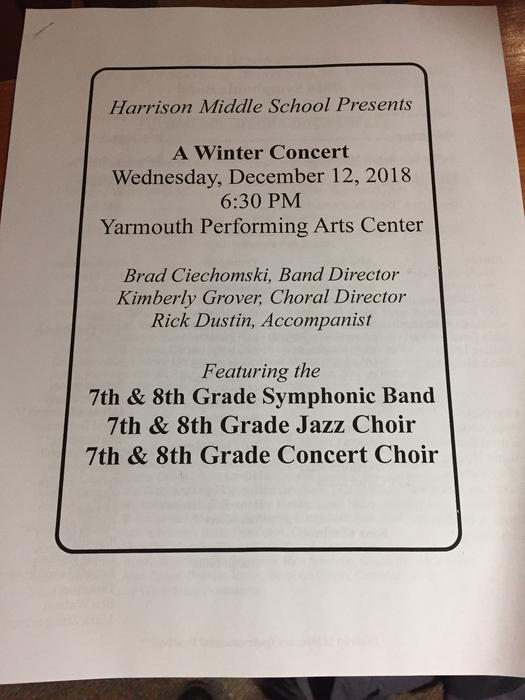 It’s time for the 7th and 8th grade Winter Concert! 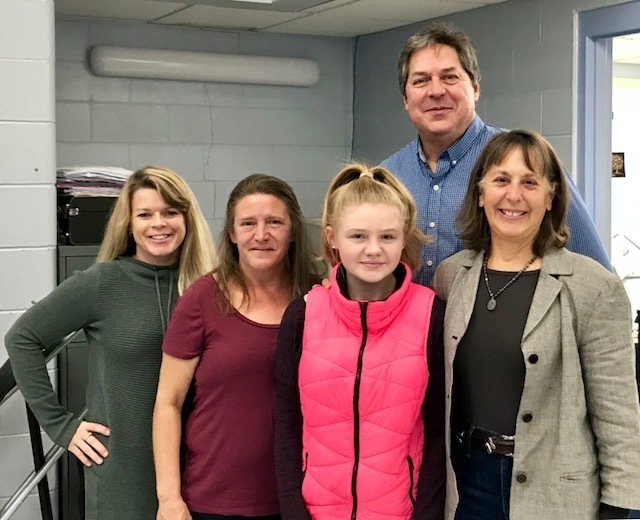 Congratulations to Paige Brewer, a recipient of this month’s HMS/Rotary Student of the Month Award. The Unified Arts teachers selected Paige for her grit and perseverance. Way to go, Paige! 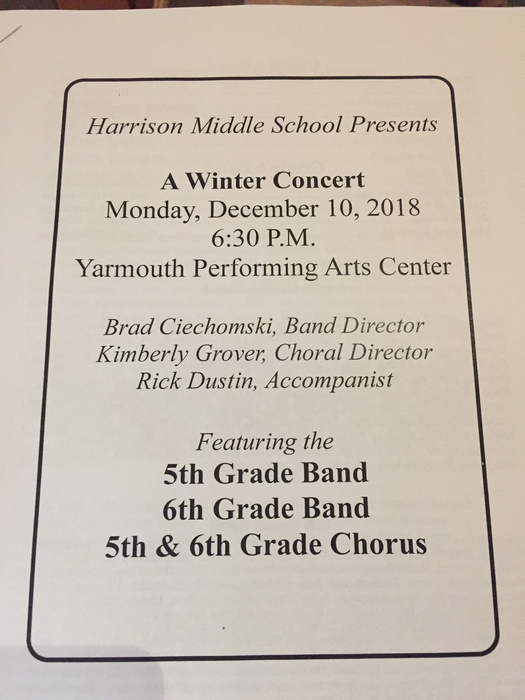 Come join us for our 5th/6th grade Winter Concert! Ms. Adler’s 5th grade lunch group yesterday learned about Hannukah. Fun! 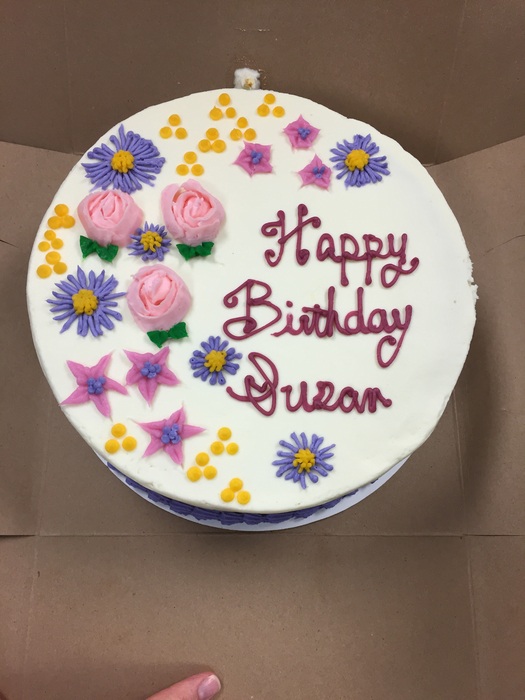 Happy Birthday to the newest member of the HMS office team - Mrs. Fournier! 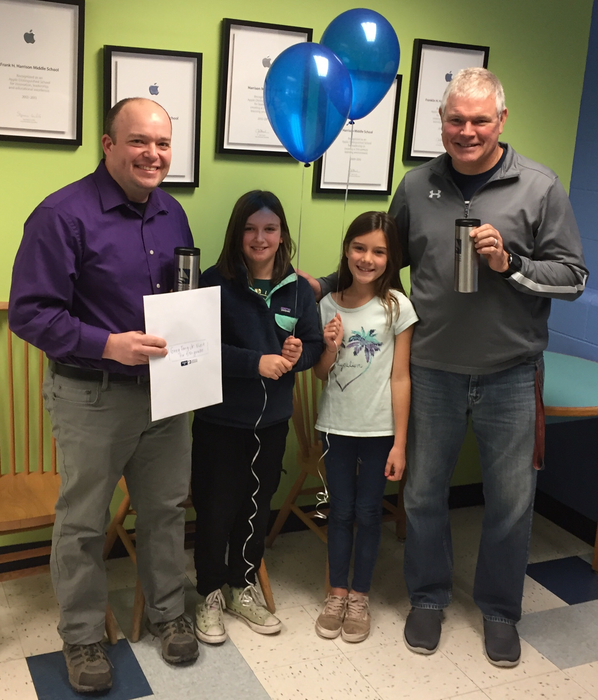 Congratulations to Mr. Cuthbert, Mrs. Medenica, Mr. Gale, and 7th grade students for their @yef_maine grant for kelp growing tanks! Thank you, YEF! Congratulations to Mr. Harrington, Mr. Smith, Metta Lindsay, & Violet Bailey for their work to bring Greg Tang, Jr. to HMS for a Math Mania Night in the spring! Thank you @yef_maine! Tuesday's 6th grade Writing Club is being postponed until after Thanksgiving. 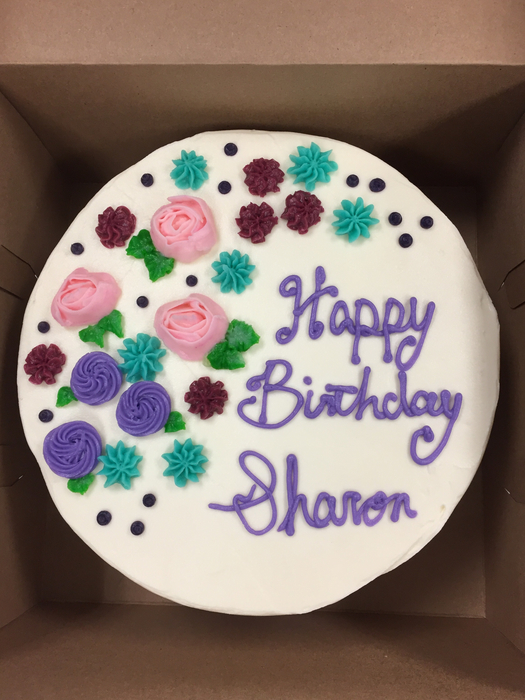 Thanks to the wonderful HMS Nutrition Team-it was an honor to work with you and learn from you! Congratulations, Walter Ruthman! 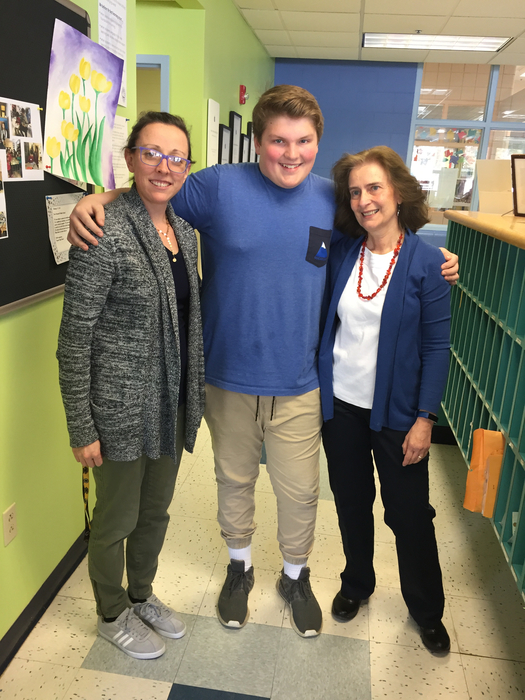 Walter was chosen by the Unified Arts teachers for the HMS/Rotary Student of the Month Award for his effort, ownership of his learning, and kindness. Way to go, Walter! 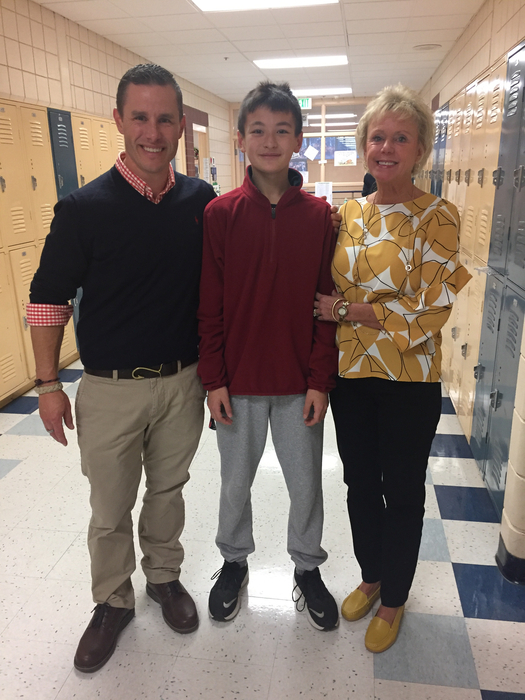 Congratulations to Colby Ting, the 7th grade team’s selection for this month’s HMS/Rotary Student of the Month Award! Colby was recognized for his hard work, love of learning, and positive attitude. Well done, Colby! 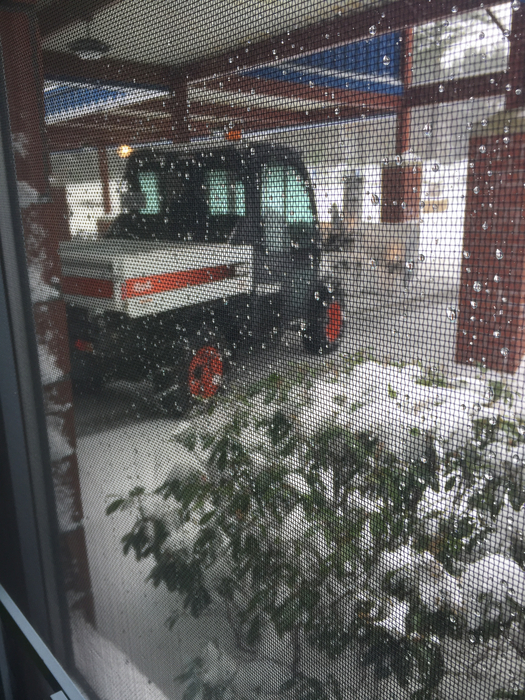 Our maintenance crew is hard at work today at HMS. Many thanks for their work to clear the snow! 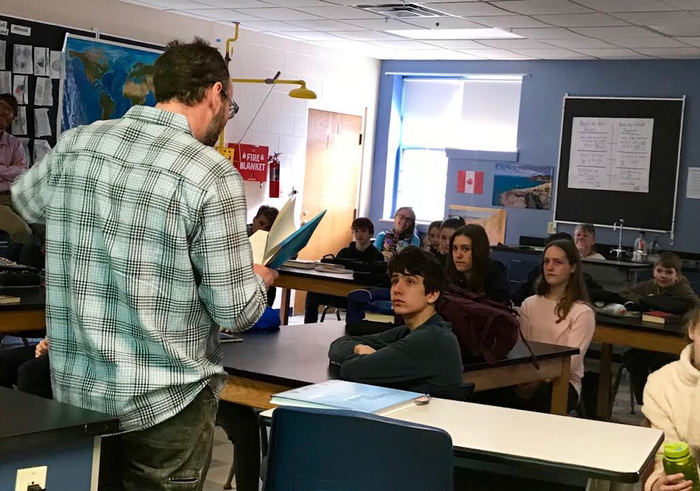 Many thanks to Dan Gray for coming in today to work with our 7th graders on Maine Bioscience Day! 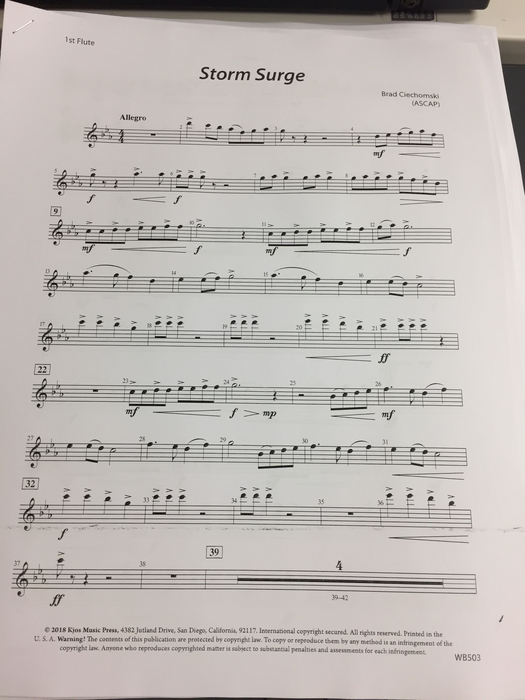 Congratulations to our own Mr. C on his recent composition, Storm Surge! 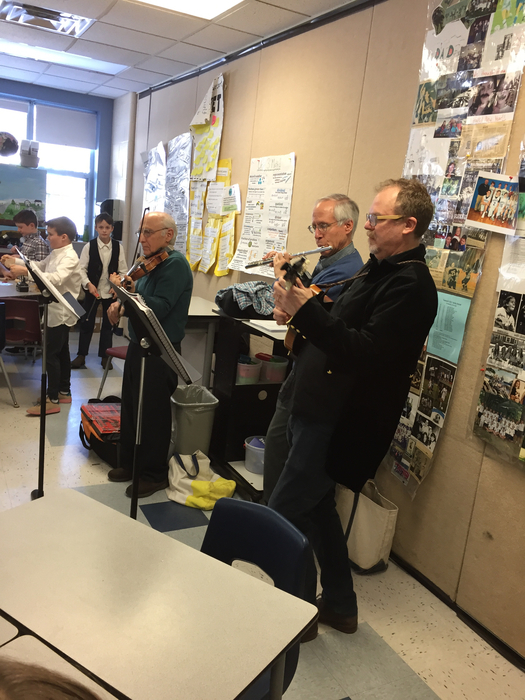 Congratulations to Isabelle Bragdon, winner of this year's Steingart Music Education Fund Award! Many thanks to Carol Steingart and the Steingart family for their generous support of this award. Way to go, Isabelle! 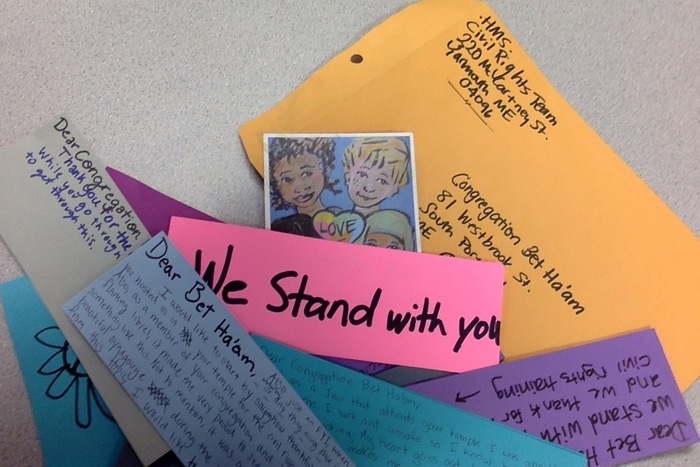 The HMS Civil Rights Team wrote cards today to the Congregation Bet Ha'am, to thank them for hosting their recent training and to stand with them against hate and intolerance. Our Civil Rights Team attended a training session last week and learned a great deal of information to support their work! 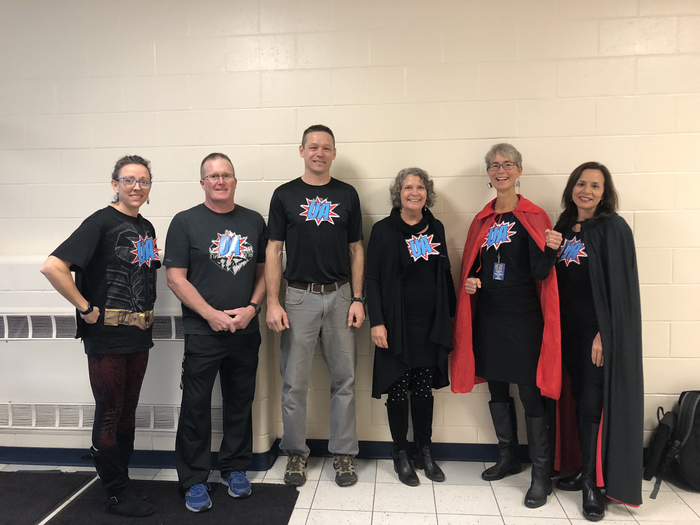 Our Super Unified Arts Team is on the scene at HMS today! 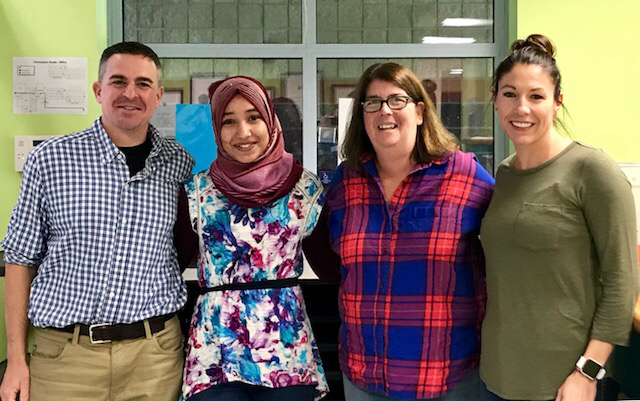 Congratulations to Batul Aljawarin, recipient of the HMS/Rotary Student of the Month Award. 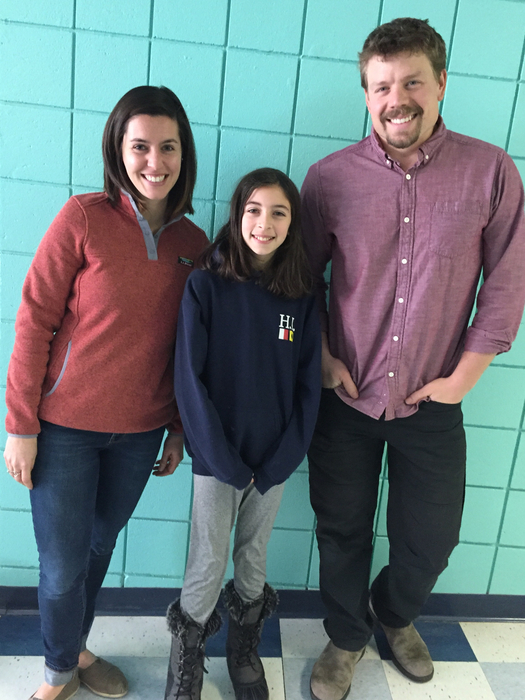 The 8th grade teachers selected Batul for her grit, perseverance, and positive attitude. Well done, Batul! 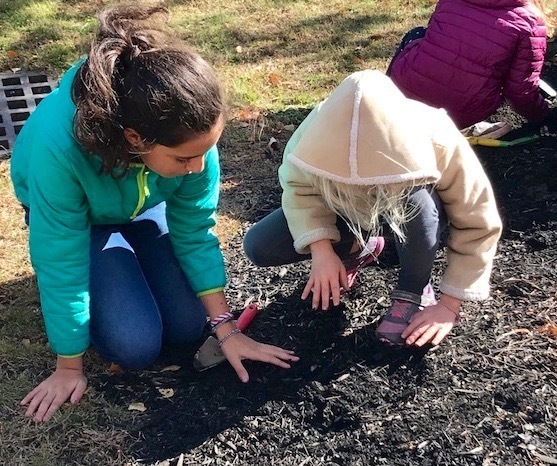 Yesterday was a great day for our 7th graders, as they planted tulip bulbs at the Rowe School with the first graders. Thank you to everyone who made this possible! 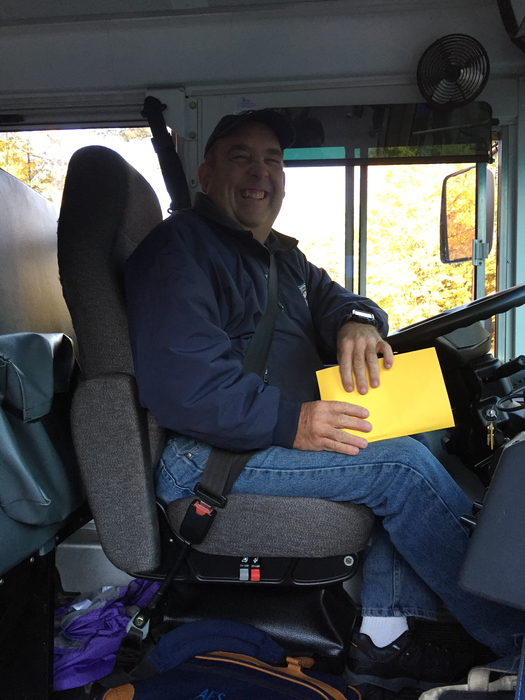 It is Bus Driver Appreciation Day! Thank you to our fantastic drivers!! 10/24 HMS Tennis is cancelled today. 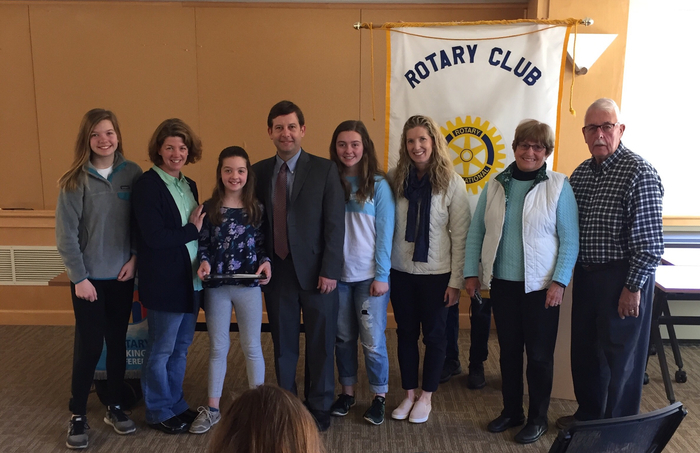 Congratulations to Evey Merriam, an October recipient of the HMS/Rotary Student of the Month Award! Thursday, October 11, 2018 Boys and Girls 7th & 8th grade soccer practices are cancelled. HMS Tennis and Cross Country are cancelled. 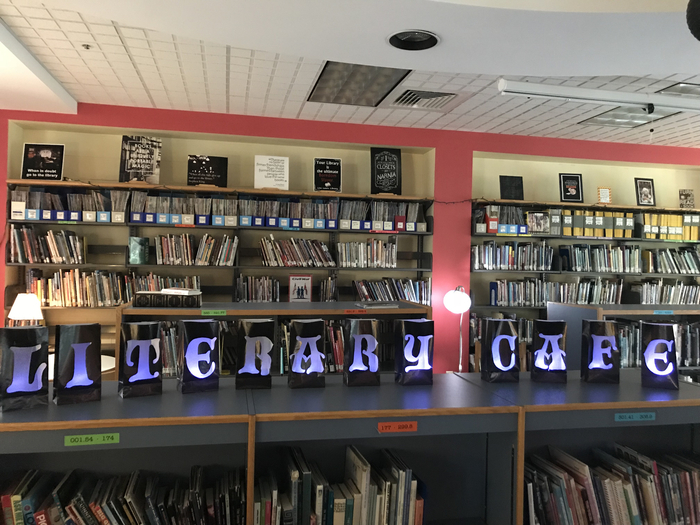 Our 7th and 8th graders are loving this year’s Literary Cafe! Many thanks to Merry Stuhr and co. for their work to transform our library! 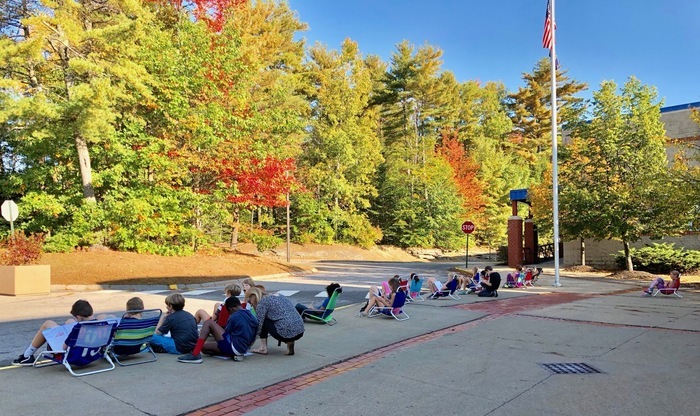 Mrs. Rollins' class practicing using personification, with nature serving as an inspiration! 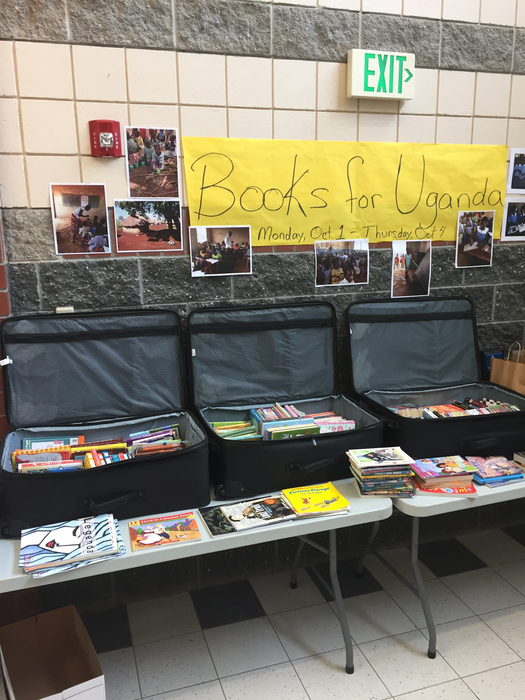 Many thanks to those families who donated to our Books for Uganda project. It was a huge success! The students at the St. Bahkita School thank you! 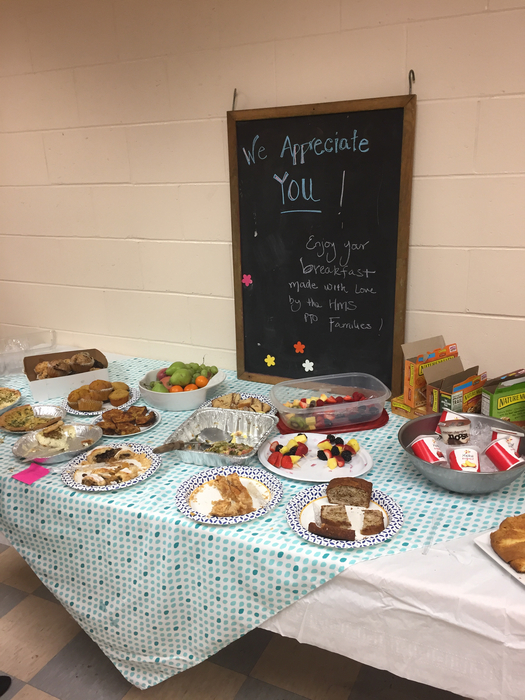 Many thanks to our wonderful PTO and the many parents who treated us to a delicious breakfast. What a way to start the day! 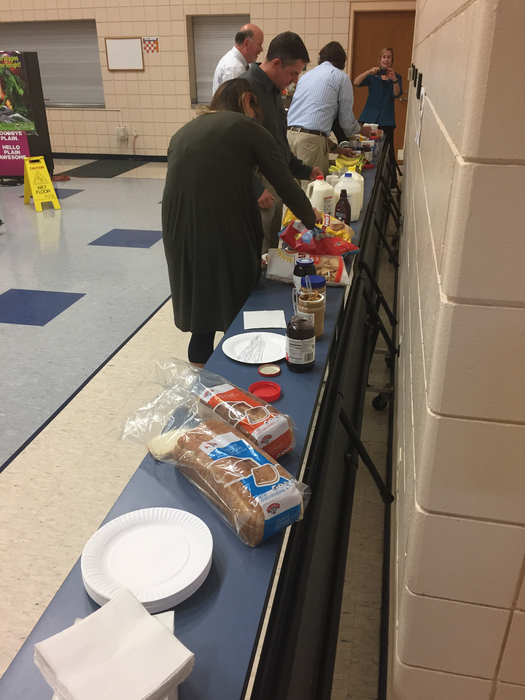 PB & J sandwiches, bananas, chips, and milk for our teachers for this past Monday’s faculty meeting. Work in a middle school, eat like a middle schooler! 10/2--Winslow fields are closed again today due to the rain so no practices or games. MS X-C Practice is cancelled, MS Tennis vs. NYA ppd to 10/23; MS Field Hockey is cancelled. MS Football Practice is canceled, 8th/7th Girls Soccer @ HOME ppd to 10/15, 8th/7th Boys Soccer @ Freeport ppd to 10/15. 6th grade play practice is cancelled as well. Volleyball games WILL be played in the gym today. 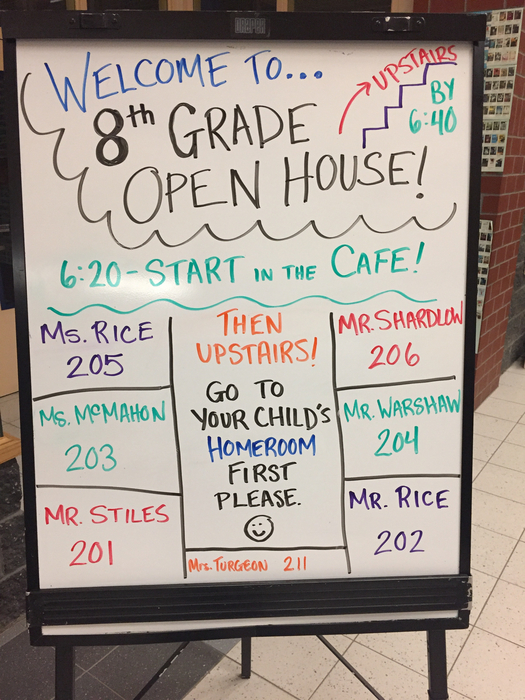 8th grade Open House tonight! This wraps up our Open House season. 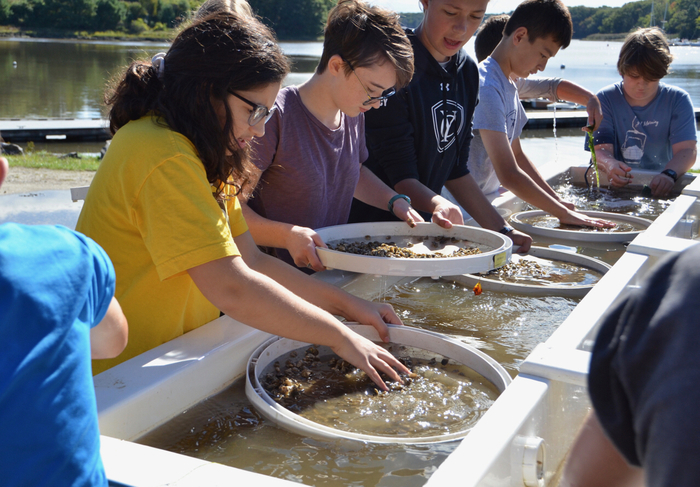 7th graders cleaning the upweller today so that the oysters have a clean environment in which to grow! 9-25-18 HMS Tennis, Field Hockey, Cross Country, and all HMS soccer games are cancelled for today due to the weather. 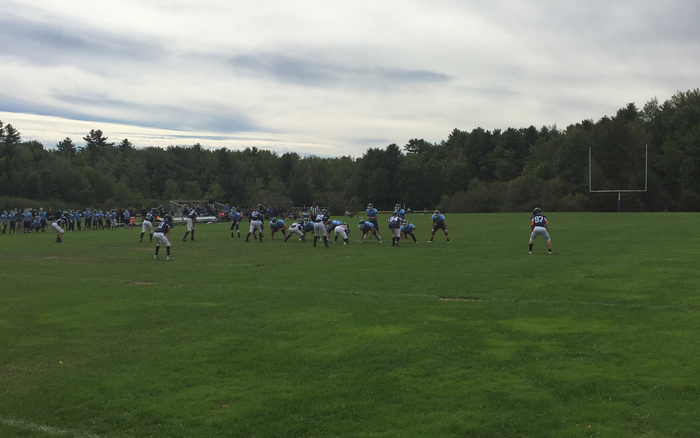 HMS/Greely football team in action against Westbrook today! 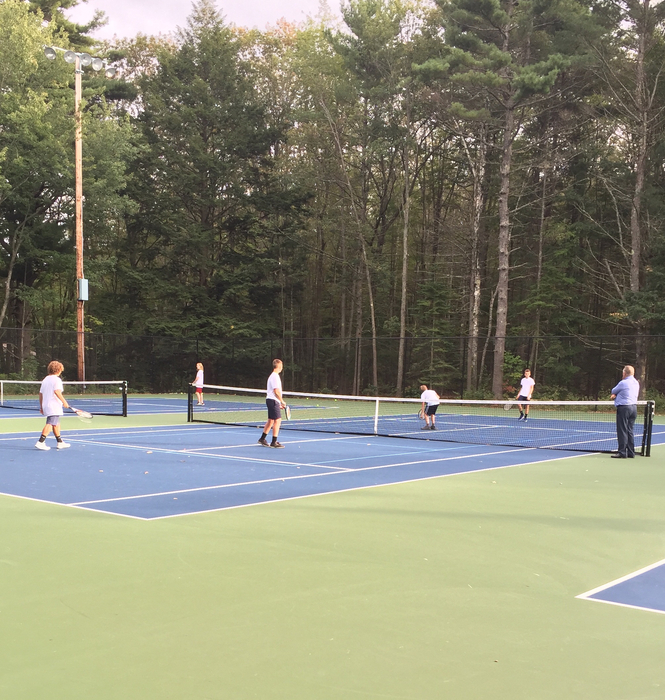 HMS Tennis in action today! 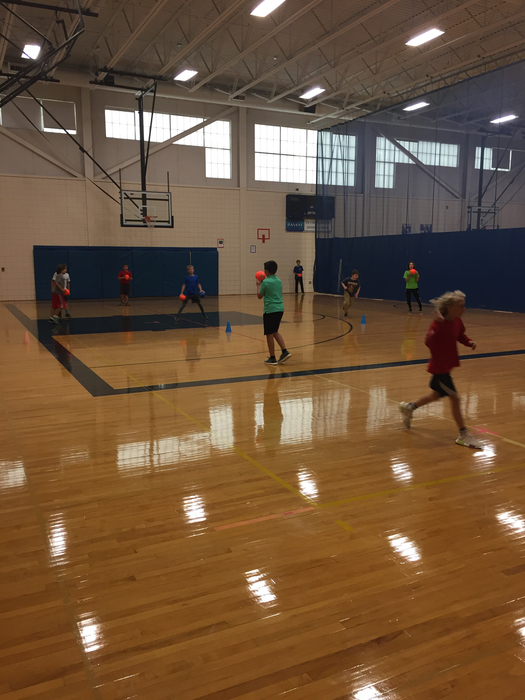 Our 5th and 6th graders love a good game of dodgeball during after school Intramurals! Thank you to Mr. Corey for making these experiences possible. 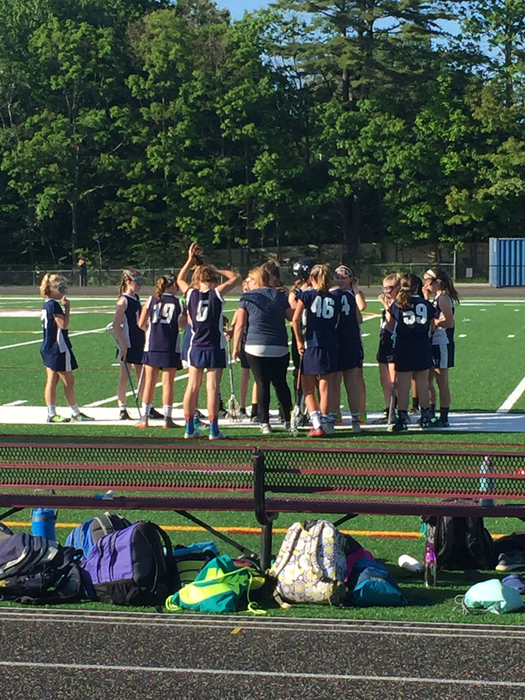 Tuesday, September 18, 2018 No HMS Field Hockey Practice Today HMS Tennis practice has been cancelled too. 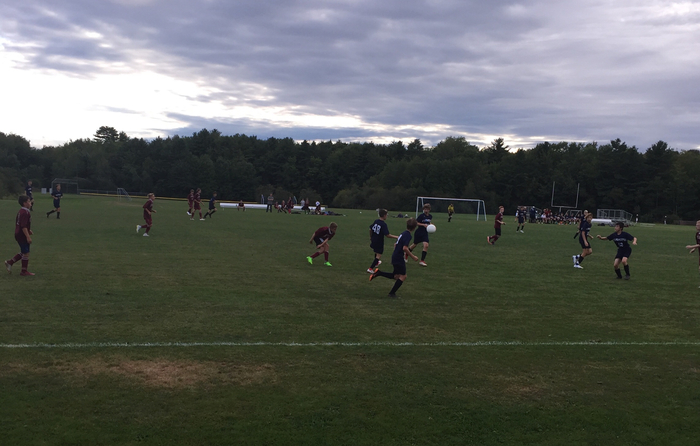 7th grade Boy’s Soccer playing Freeport today. Go Clippers! 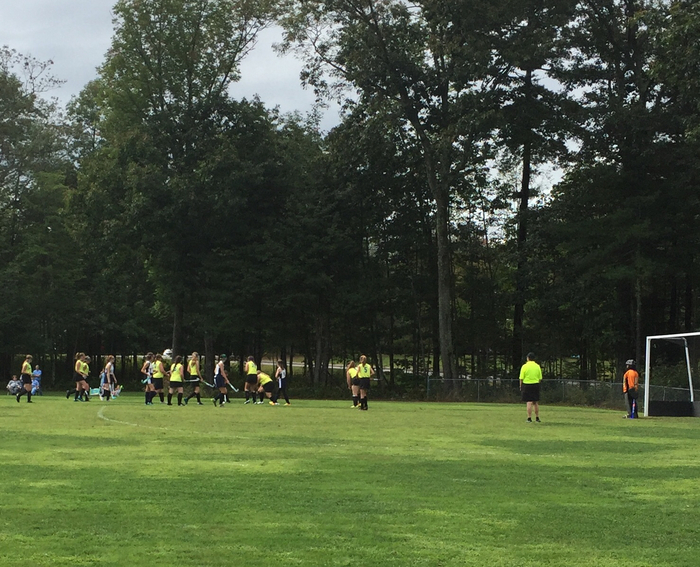 The HMS Field Hockey team is in action today against Lake Region! 9/11--7th & 8th grade football Tonight's practice will be held in the Flex room at Yarmouth High School Practice will be from 5:30-7pm. No helmets or pads needed. We will be reviewing videos. 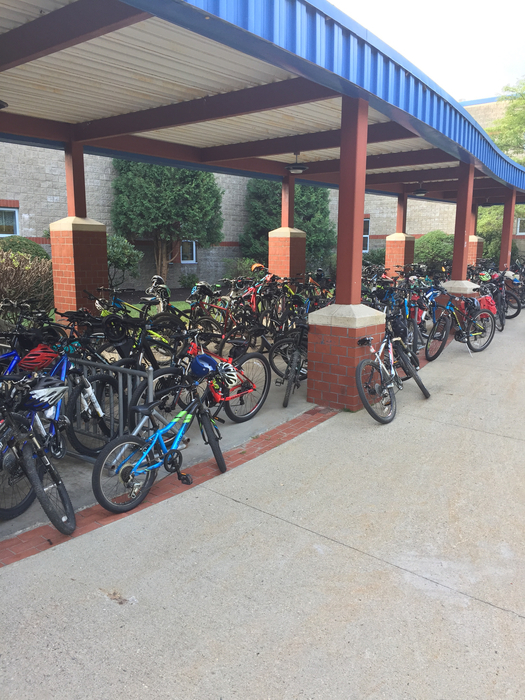 Our bike rack. It must be September! 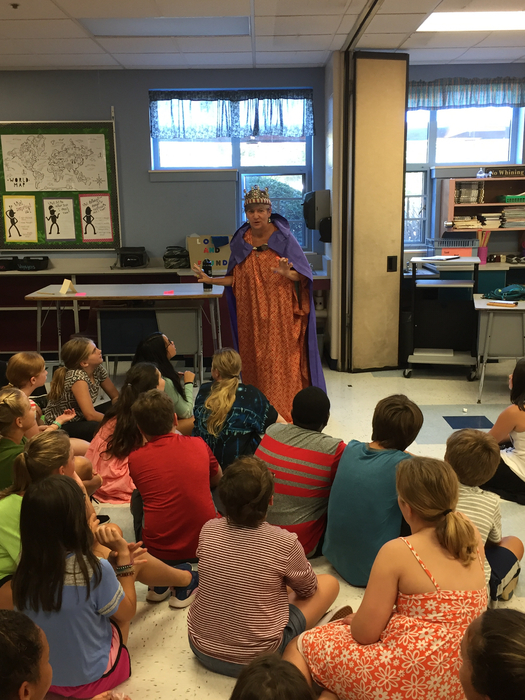 The Queen of Recess Rules came to the 6th grade Community Meeting today! 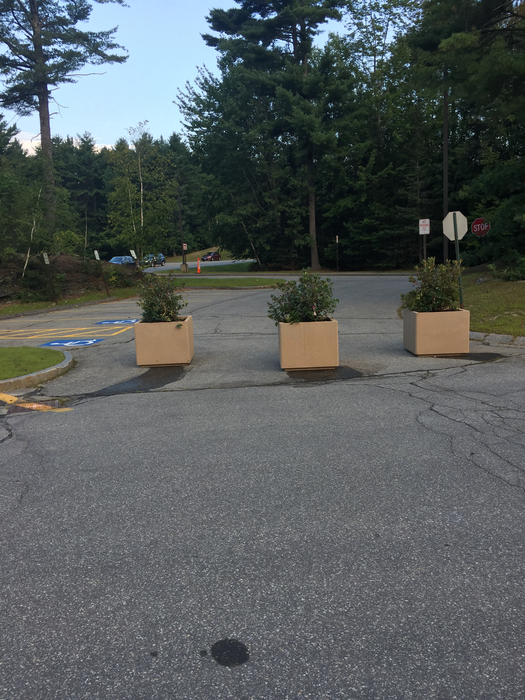 Our planters are in place! Please use the large loop for drop off and pick up. Thank you! 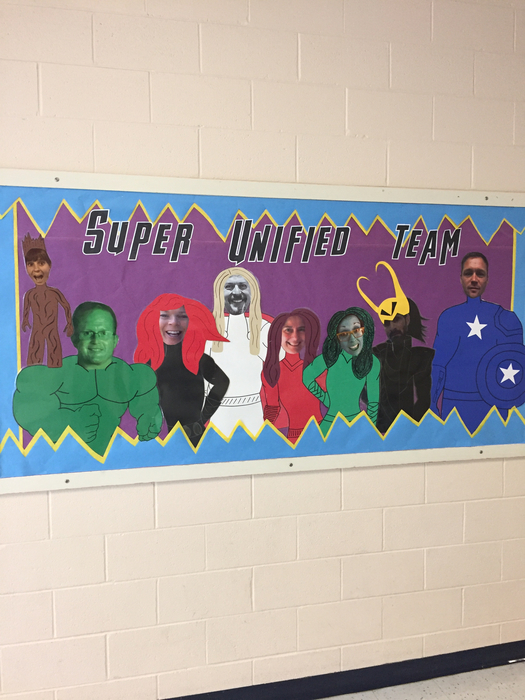 The HMS Unified Arts teachers are super excited for the year! 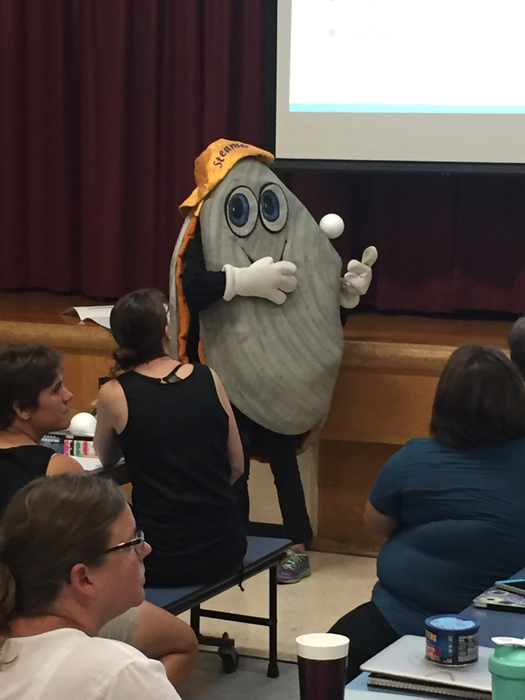 Steamer the Clam stopped by HMS today to help during our faculty learning time. Thank you, Steamer! 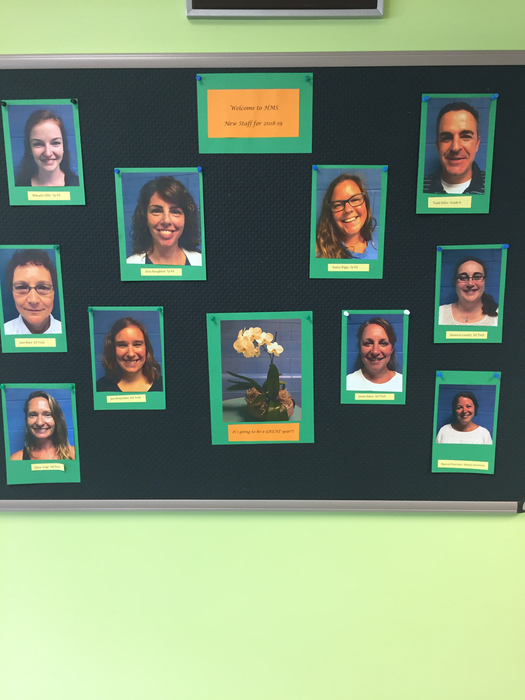 HMS welcomes our newest staff members! 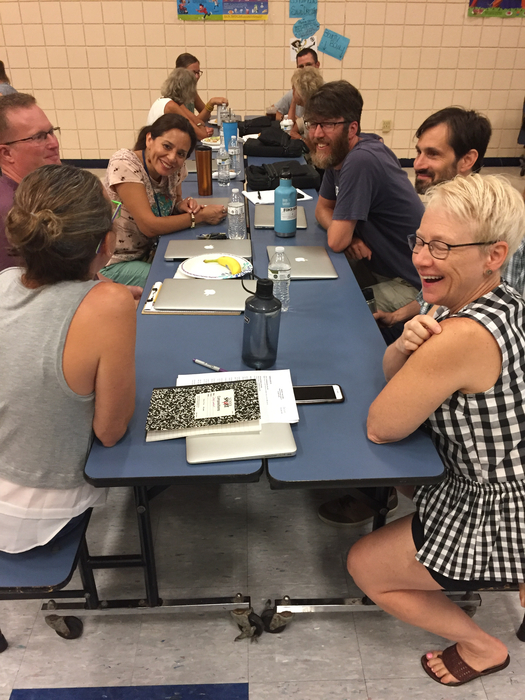 HMS teachers and staff laughing and learning together this morning! HMS and YHS students, under Mr. Cuthbert's direction, working this summer at the Yarmouth Shellfish Nursery. Thank you to all for serving our community! 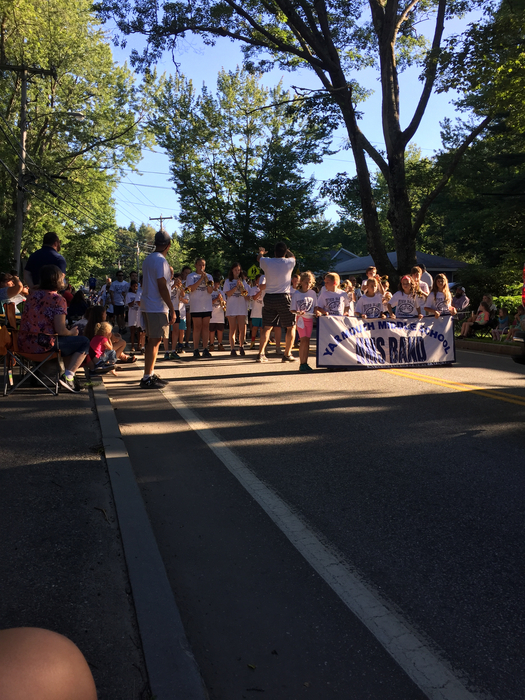 The HMS Band playing “Living on a Prayer” at the Clam Festival Parade! We had so much fun celebrating all of our 8th graders today! Here’s Maddy Corson, recipient of the Secretary of State Award. 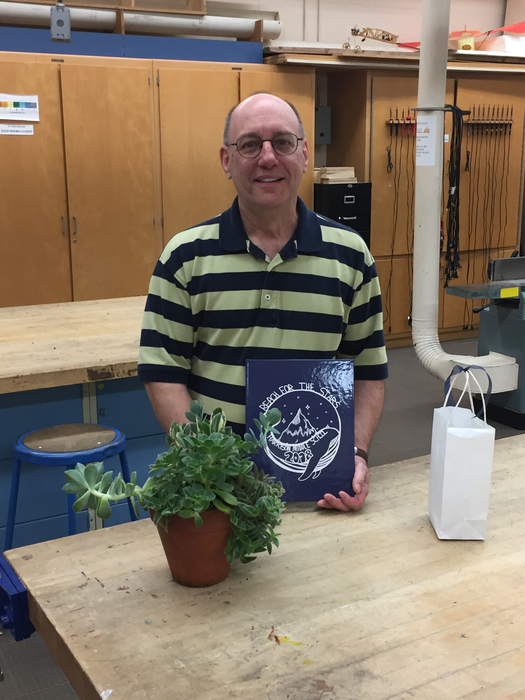 The 8th graders and the Yearbook staff dedicated the Yearbook to Mr. Dehetre today. 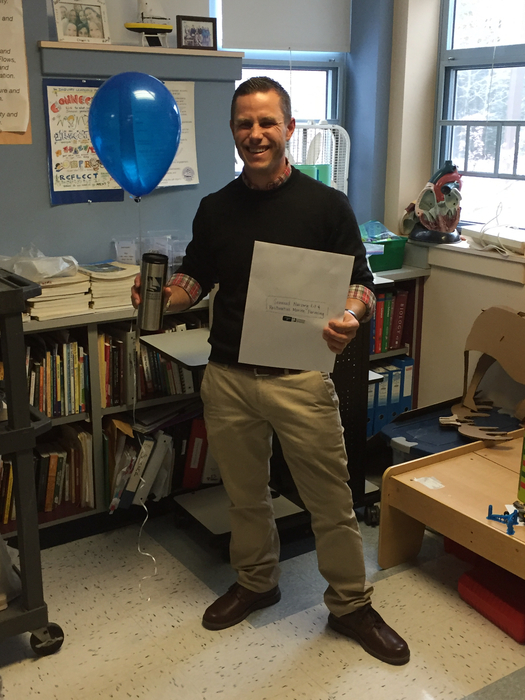 Congratulations, Mr. D! 8th graders demonstrate their learning at our Civil Rights Night! 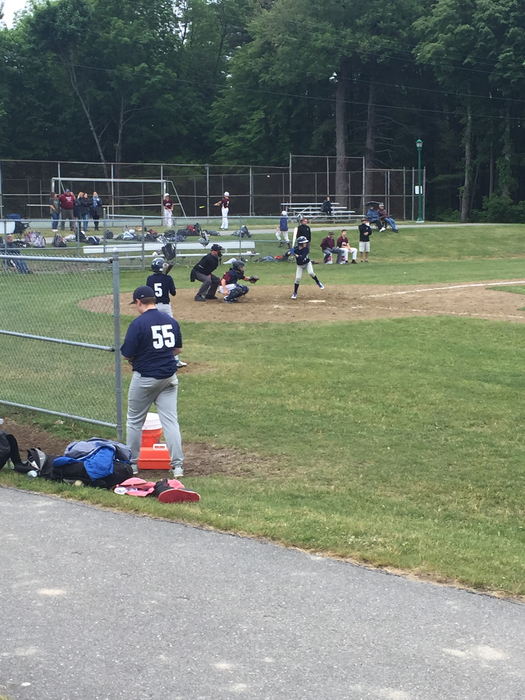 HMS 8th grade Boys Baseball hosted Greely today! Monday June 4th 7th gr Boys LAX game is cancelled for today. 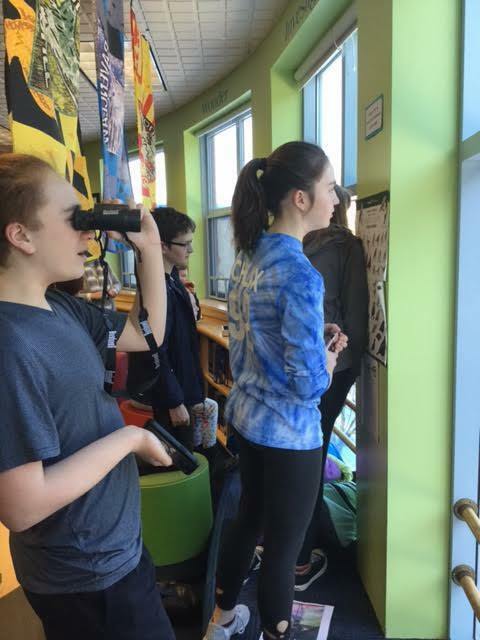 Thank you to @YEF_maine for this grant to support bird watching and nature observation at HMS! 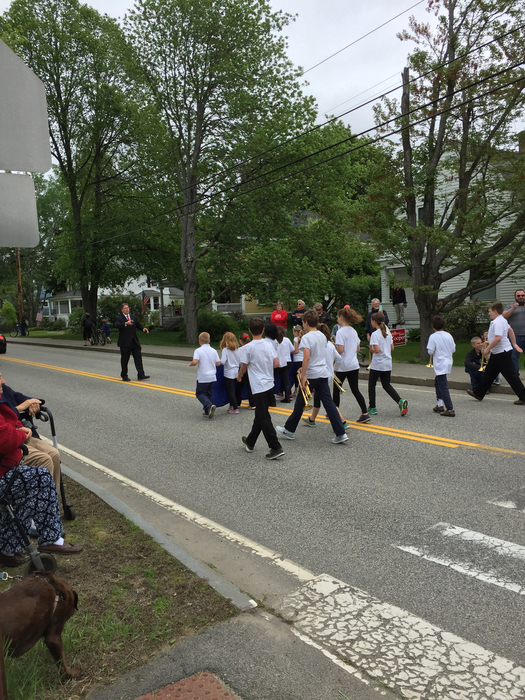 The HMS Marching Band steps off in the Memorial Day parade! 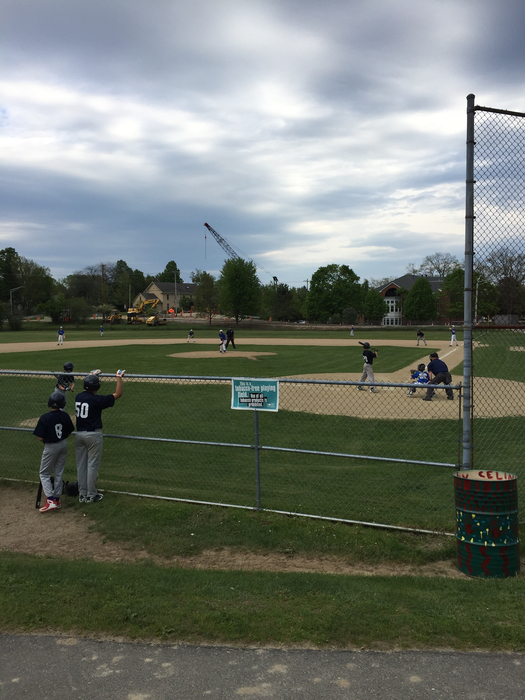 Our 7th grade baseball team is taking on Falmouth today! 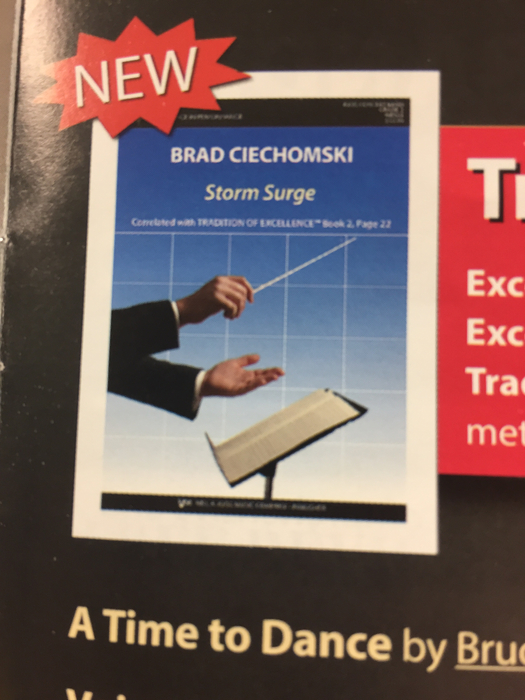 A peek at one of Mr. Ciechomski’s recently published works, Storm Surge. Congratulations, Mr. C! 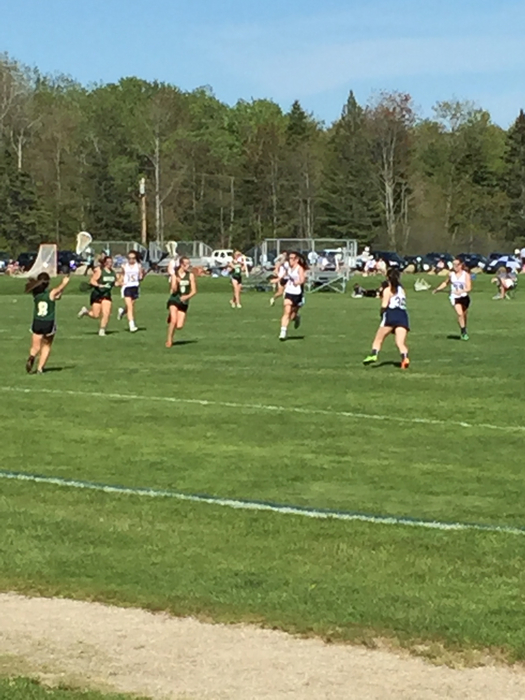 8th grade girls lacrosse with a lead over Waynflete. 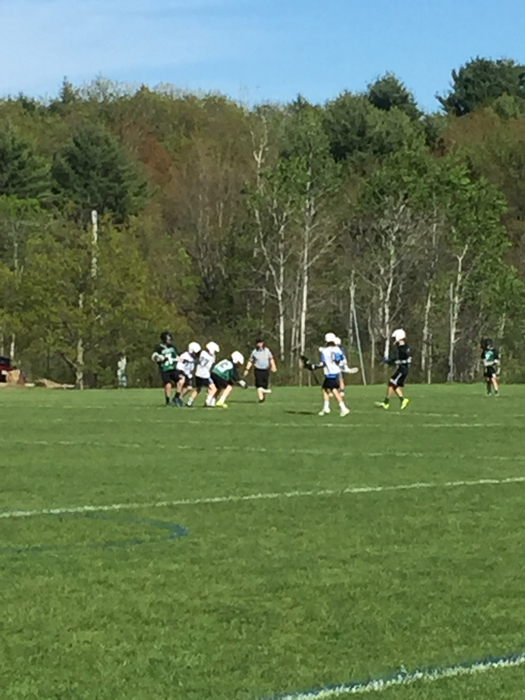 7th grade boys lacrosse in action today! Ms. Damboise's Health Science class ready to offer "Selfless Acts of Kindness" last week to the office staff. Thank you! You made our day! 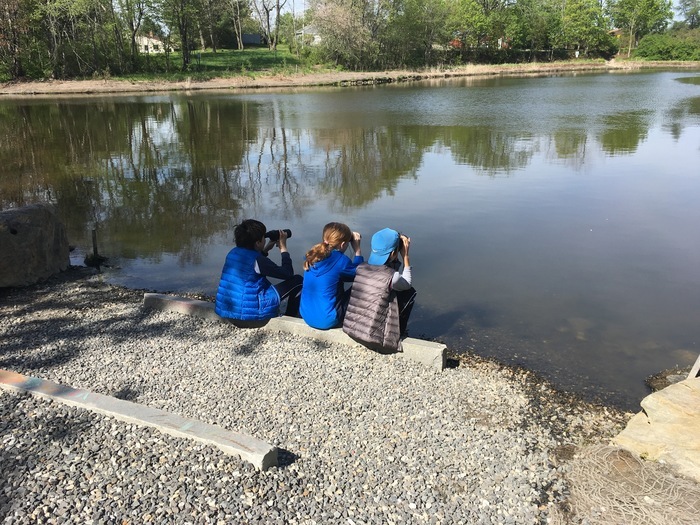 The HMS Birding Club's trip to Portland's Capisic Park on Sat. was a complete success! Thank you Mrs. Stuhr, Mrs. Weinrich, & Ms. McMahon! 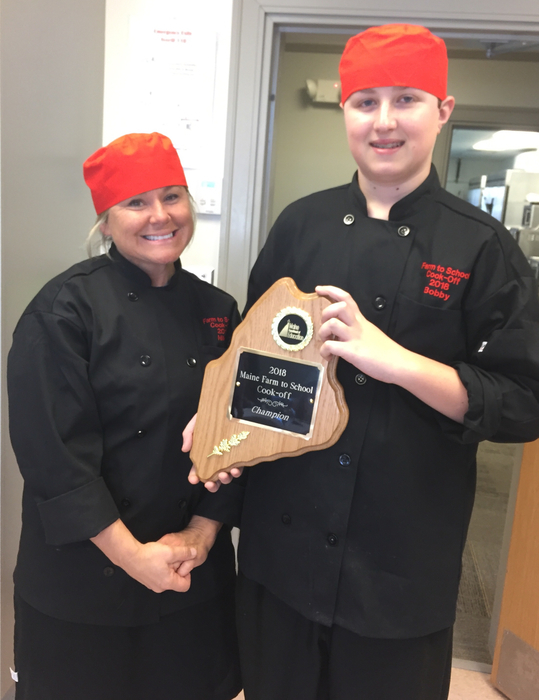 Congratulations to 8th grader Bobby Cole and Nutrition Staffer Nikki Pilavakis for winning the State Final Farm to School cook-off! 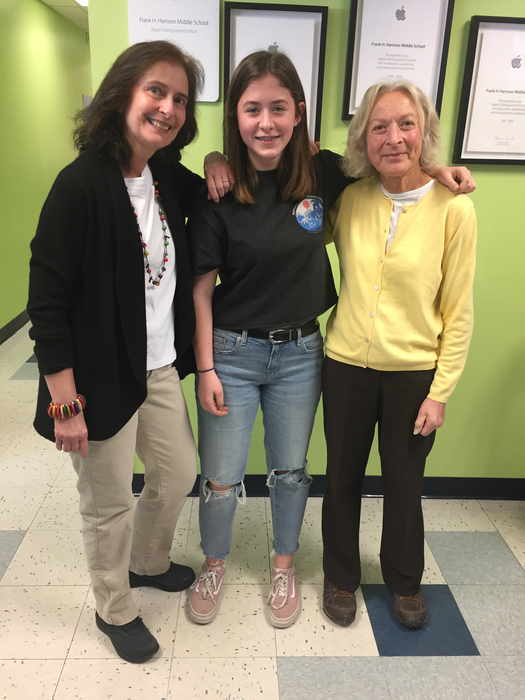 Congratulations to Eleri Fitzgerald, the recipient of the Unified Arts HMS/Rotary Student Recognition Award! Way to go, Eleri! 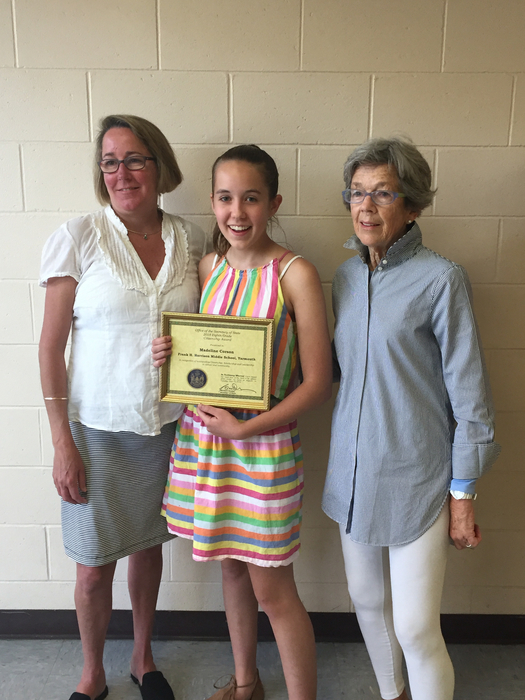 Congratulations to Harper Featherstone, the recipient of the 5th grade HMS/Rotary Student Recognition Award! Well done, Harper! 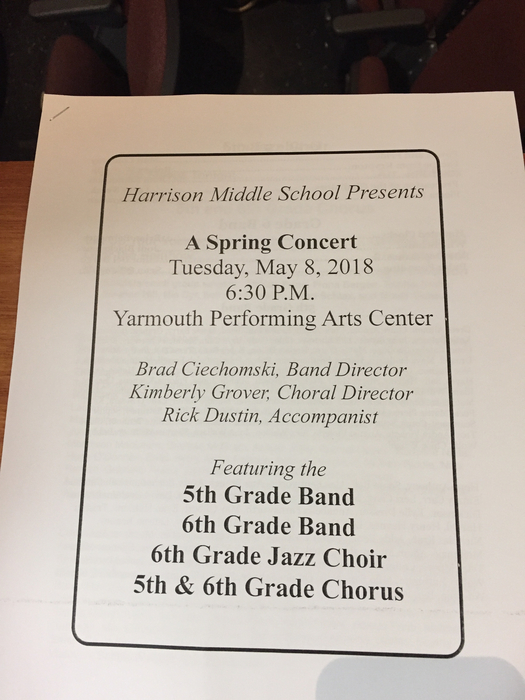 Come out to the YPAC tonight for the 5th/6th Grade Spring Concert! 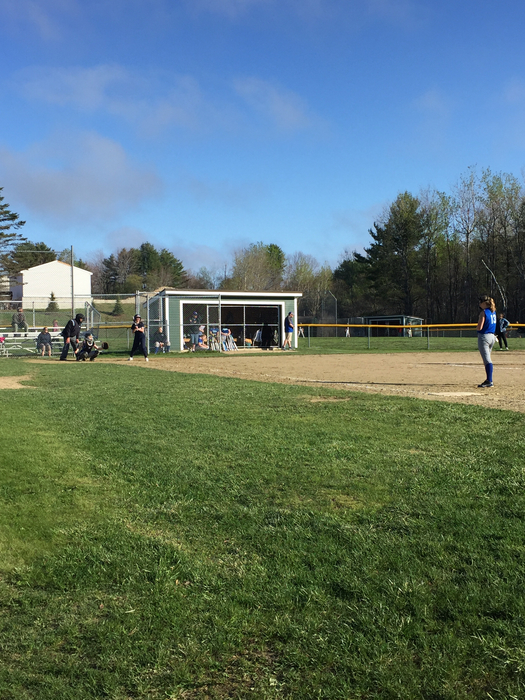 Our 7th/8th grade softball team in action against Lake Region today! 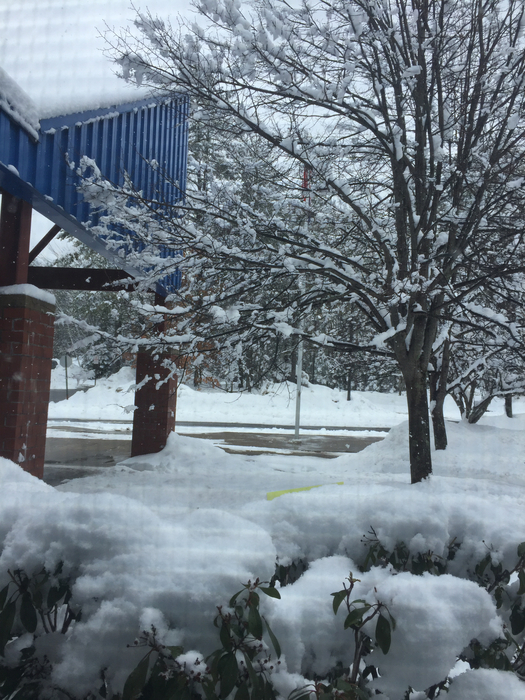 5th & 6th grade Math Team is cancelled for today, May 8. Learning about Thai food and starting up a food company during iur Career Day! 8th graders preparing for the upcoming Young Athletes Festival. 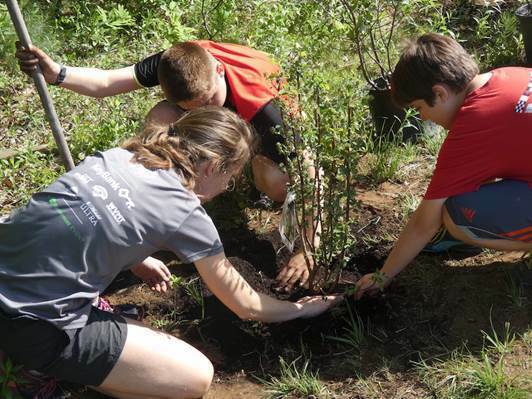 So great for our students to serve the broader community! 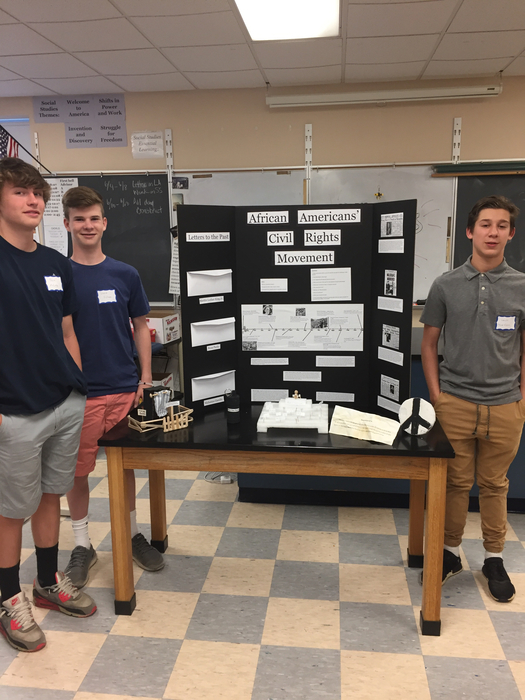 The culmination of 7th grade Genius Hour! 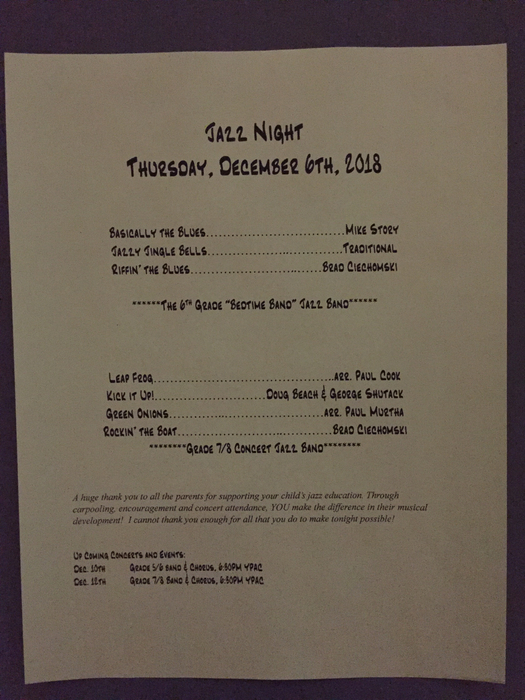 It’s Jazz Night at HMS! 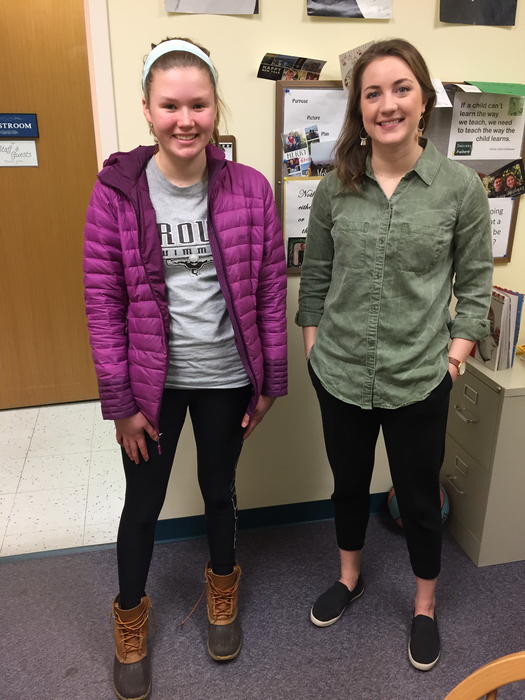 Congratulations to Ella Brown and Sophie Wentzell, recipients of April’s HMS/Rotary Student Recognition Awards! 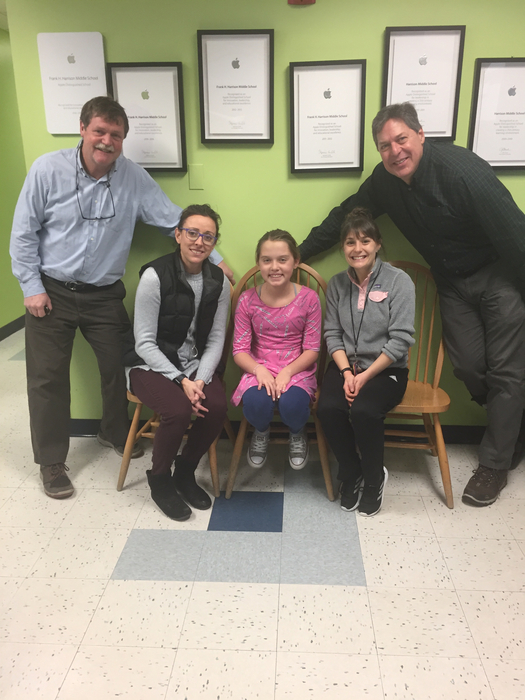 Congratulations to Sophie Wentzell, the 6th grade team’s selection for the HMS/Rotary Student of the Month Award! 5th & 6th grade Science Club is cancelled for today, March 21st. 7th grade "Acts of Kindness" activity to foster inclusiveness in our school. 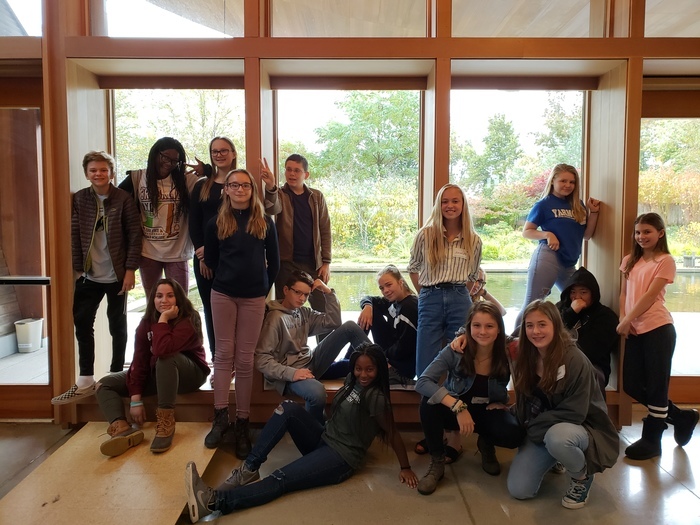 Connectedness and kindness --> a safer school community! 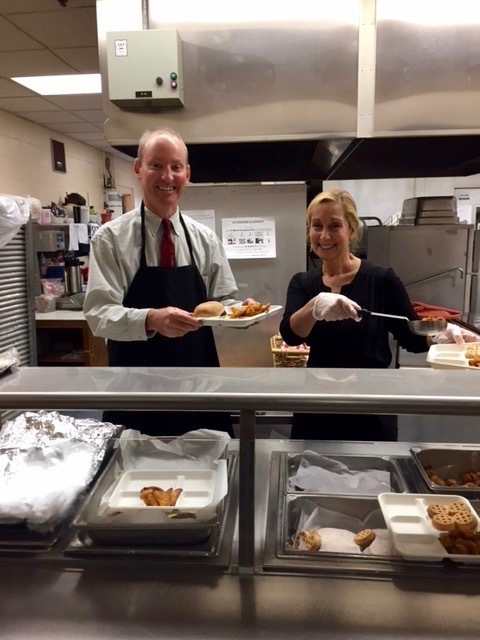 7th-grade students engaging in a selfless act of kindness (part of the Health Science decision-making unit) by recognizing our secretaries! Heavy snow falling at HMS. Stay safe on this snow day! Congratulations, Isaac Pendleton, the Unified Arts Team’s selection for the March HMS/Rotary Award! Well done, Isaac! There will be NO 5th & 6th gr. Math Team practice after school on Tuesday, March 13th. There will be NO 5th grade Homework Club after school on Monday March 12 or Wed. March 14. 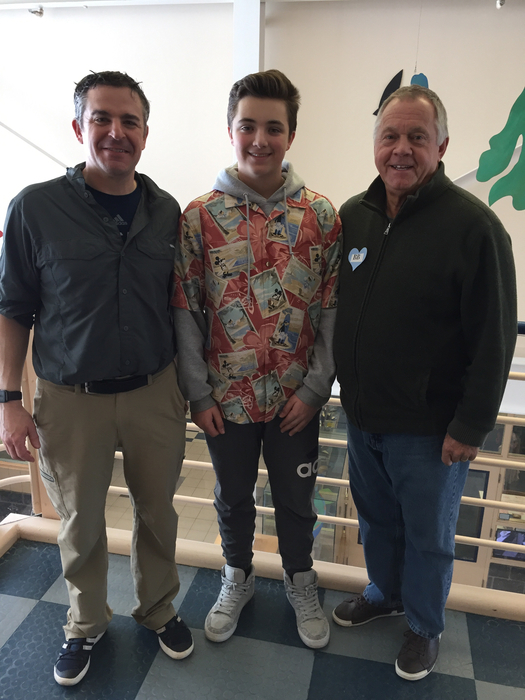 Congratulations to Alex Ericson, the 7th grade team’s choice for the March HMS/Rotary Award! Congratulations, Alex! 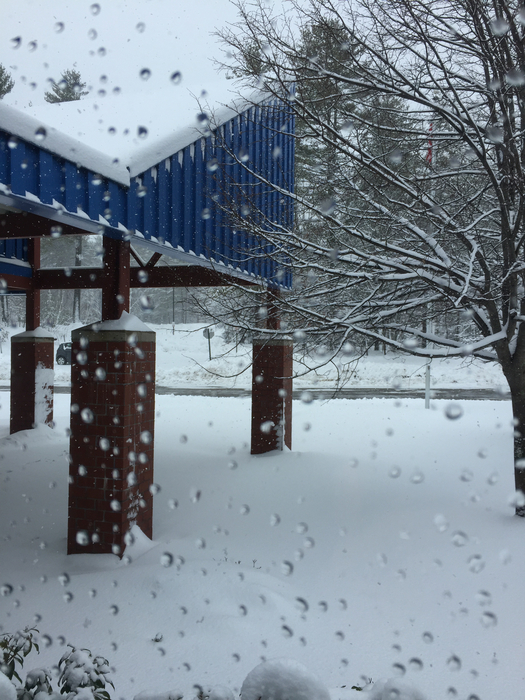 Snow continues to fall at HMS. Enjoy the snow day! There will be no school on Thursday, March 8, 2018. Stay safe everyone! To our 8th grade students and parents: Transition Conferences at HMS are on for tomorrow. 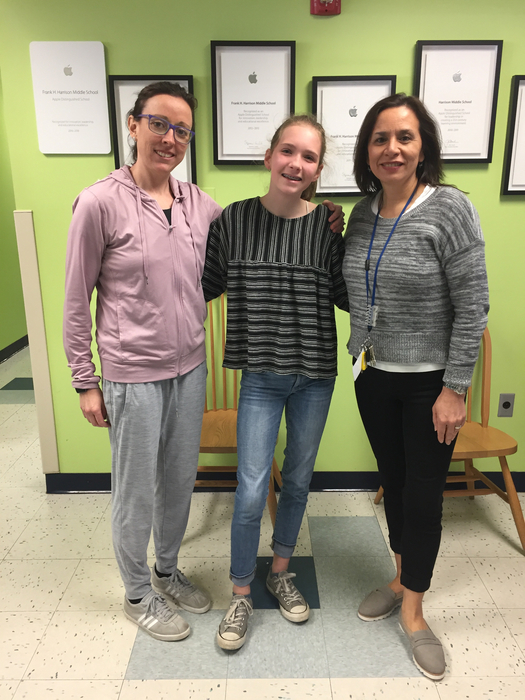 Congratulations to Celina Belleville, the 8th grade Unified Arts recipient of the HMS/Rotary Student Achievement Award for February! Our first Sea Perch is nearly ready to launch. Many thanks to @yef_maine for this opportunity! 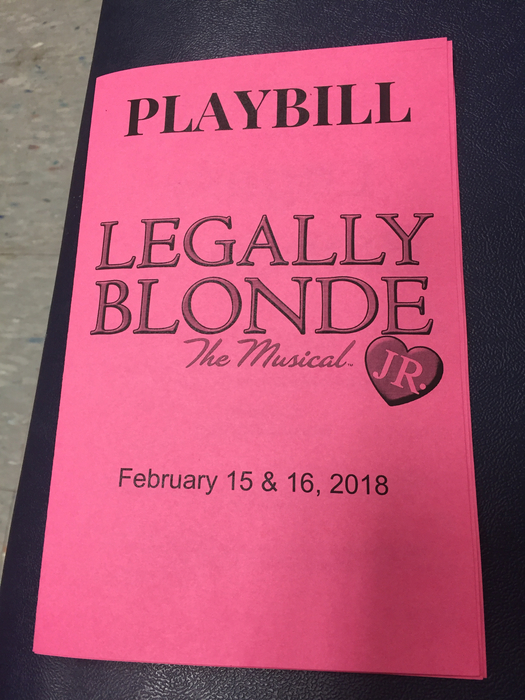 It’s time for opening night of Legally Blonde Jr., our 7th/8th grade musical! 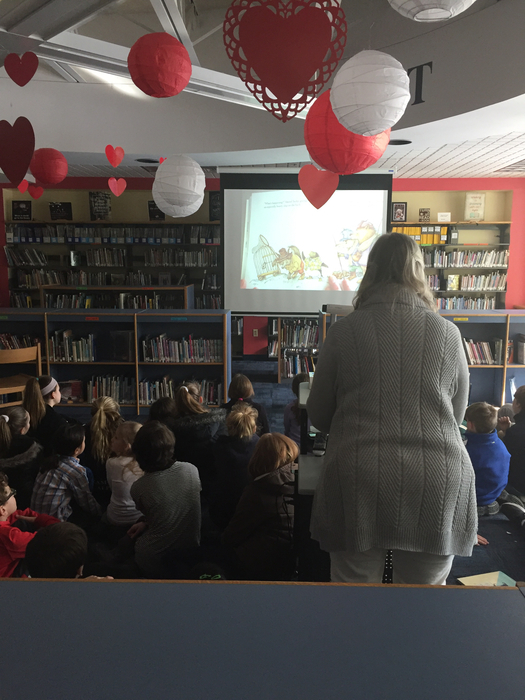 Our 6th graders visited with 2nd graders today for the Second Annual Winter Reading Festival! 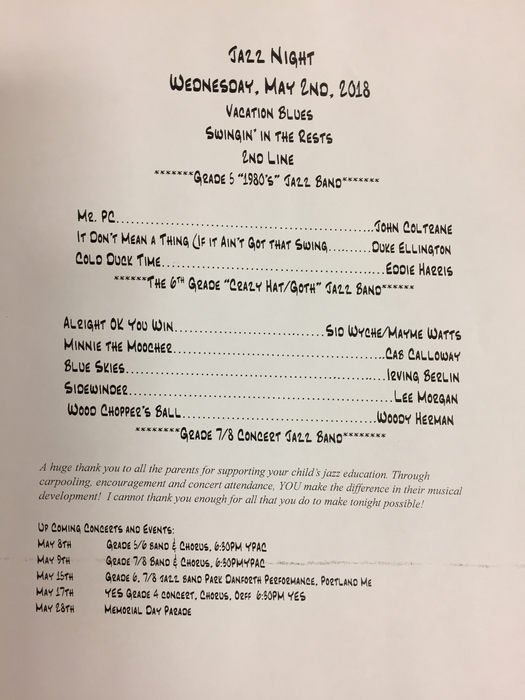 The new dates for the 7th & 8th gr production of Legally Blonde, Jr will be Thurs. Feb 15 @ 7:00pm and Fri. Feb 16th @ 6:00pm. HMS Cafe Don't miss it! Quick reminder that all after school activities are cancelled today. Be safe! 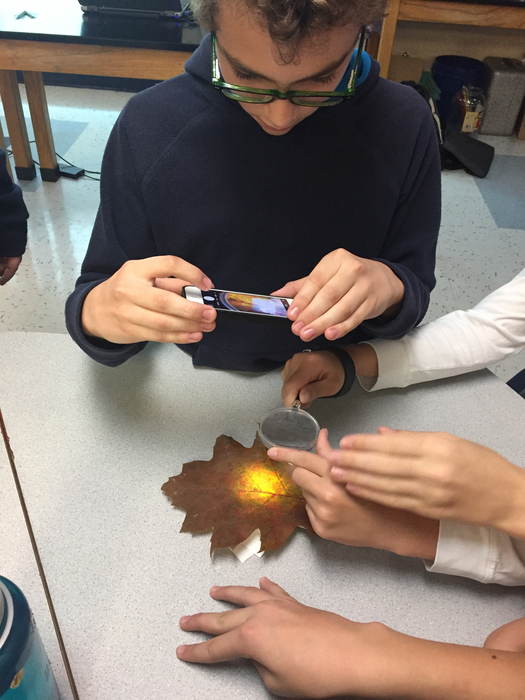 7th graders soldering switches on Sea Perch controllers. Thank you @yef_maine! 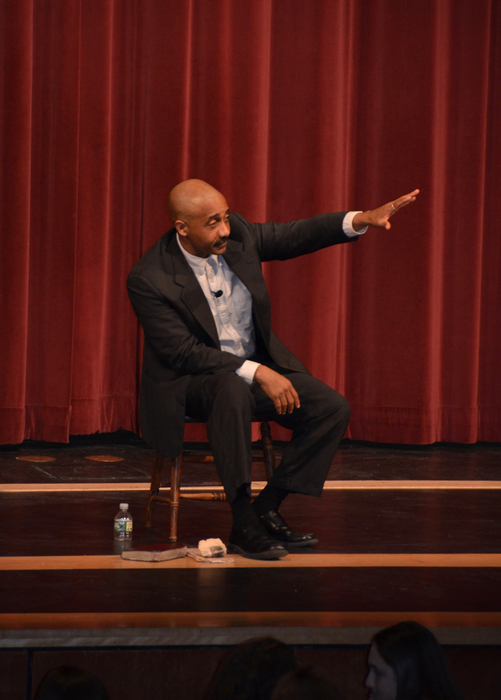 Many thanks to @yef_maine and @YarmouthHS for having our 8th graders up to YHS to see actor David Mills as MLK, Jr.! We are so excited to tweet about our new Birding Club! Kids: keep an eye out for their next after-school meeting on 2/15. Congratulations to our 7 finalists, James McConville (runner-up), & Steven Densmore, winner of the 2018 Geography Bee! So proud to share that Jonathan Tangila Mesu is the Unified Arts Team's selection for the HMS/Rotary Student Recognition Award! 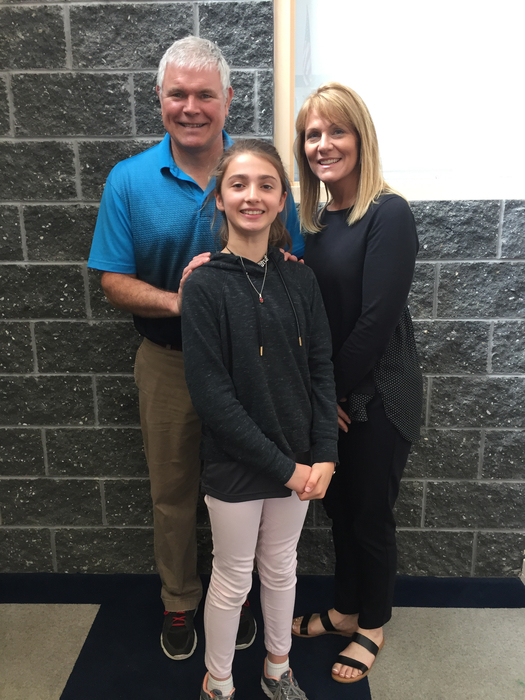 Thrilled to announce Sierra Hunt as the 5th grade team's selection for the HMS/Rotary Student Recognition Award! Congratulations, Sierra! Coming soon: An announcement of the January recipients of the HMS/Rotary Recognition Award!